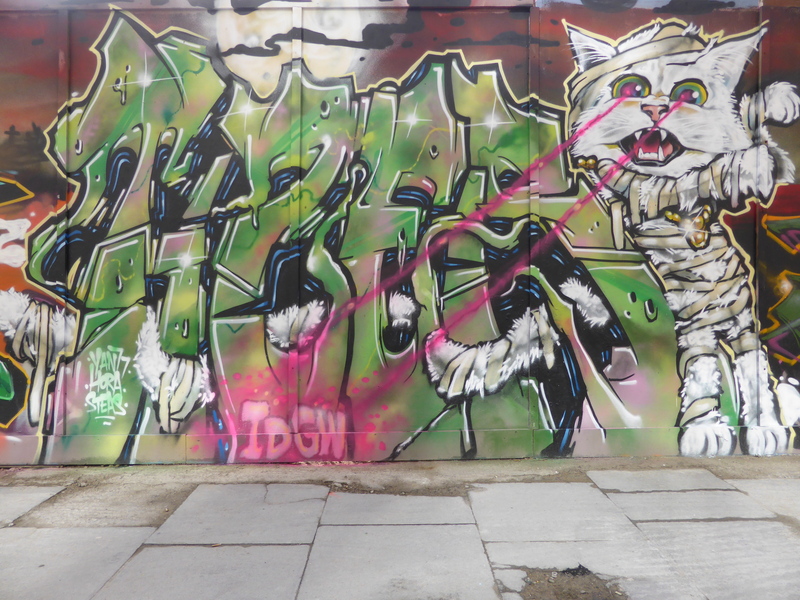 Well following on from our Street Art review ‘2015 – A Year Of Street Art In London’ (covered here), we thought we would also take a look at the highlights of all the Graffiti we have seen this year. 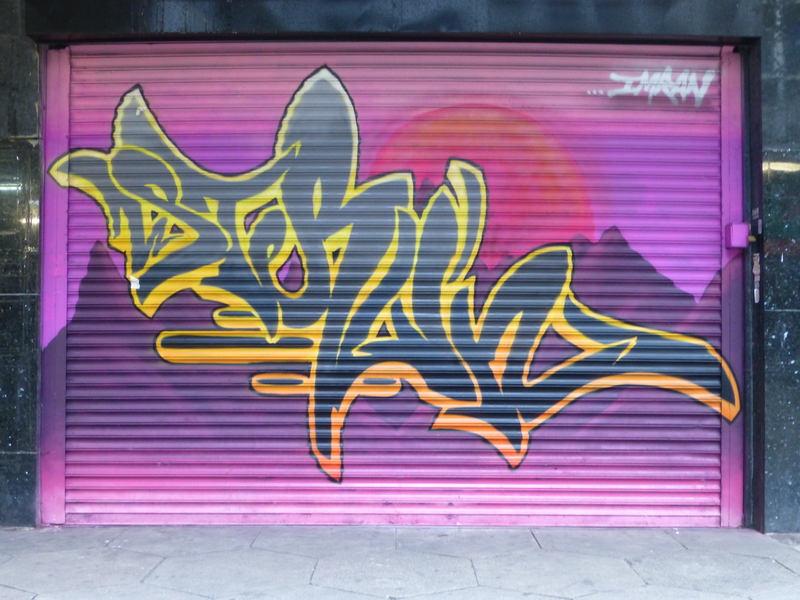 In this post we have featured works primarily from East & South London as these are the areas we most frequent, that said this ground does at least cover the Stockwell Hall of Fame, Leake Street & Shoreditch all great places to see a high turnover of good quality Graffiti. 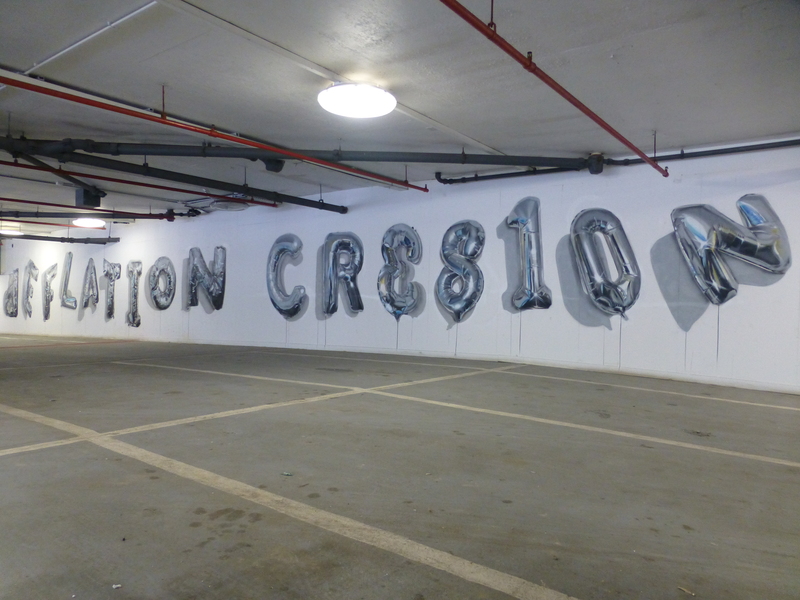 We have also included some artists who we or others wouldn’t consider Graffiti artists, so for the purpose of this post we are including Typography works from Street Artists, as well as a selection of characters from Graffiti artists also. 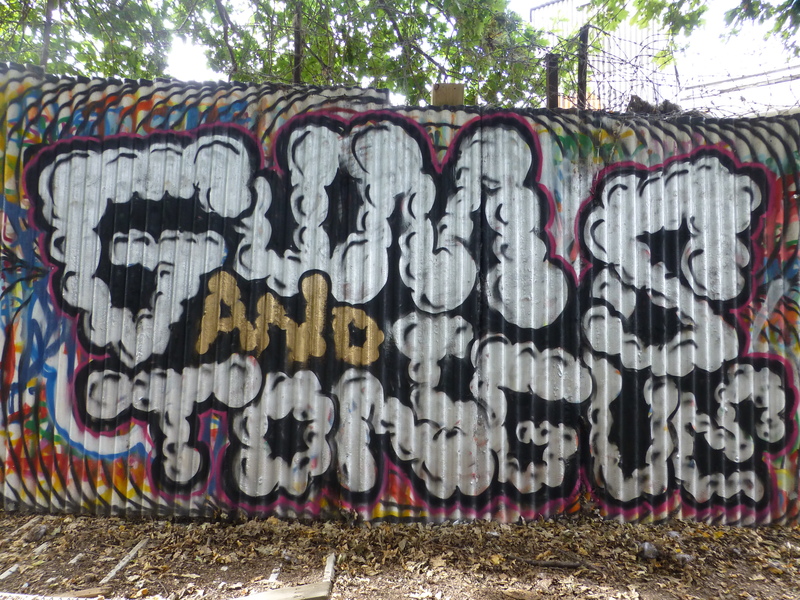 So without further ado, here is our look back at a year of Graffiti and Typography in London. 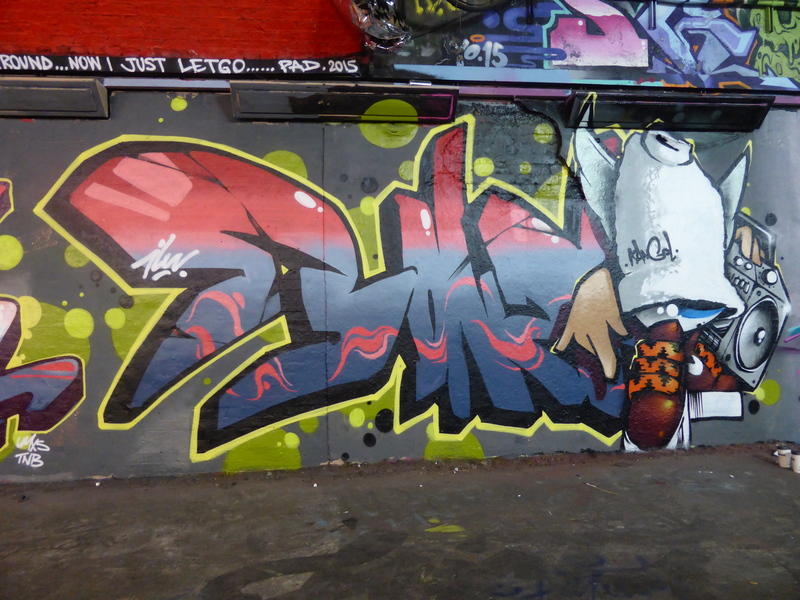 Work by Tizer in Leake Street. 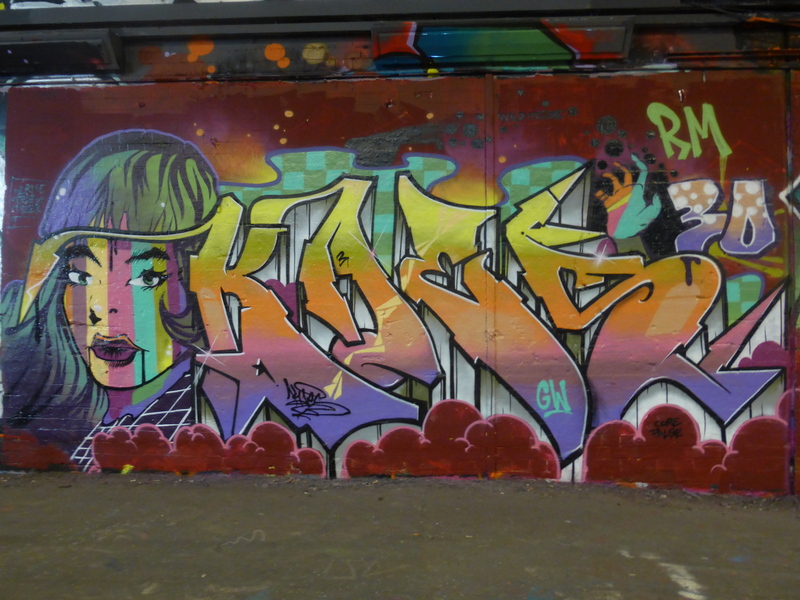 Work by Kaes in Leake Street. 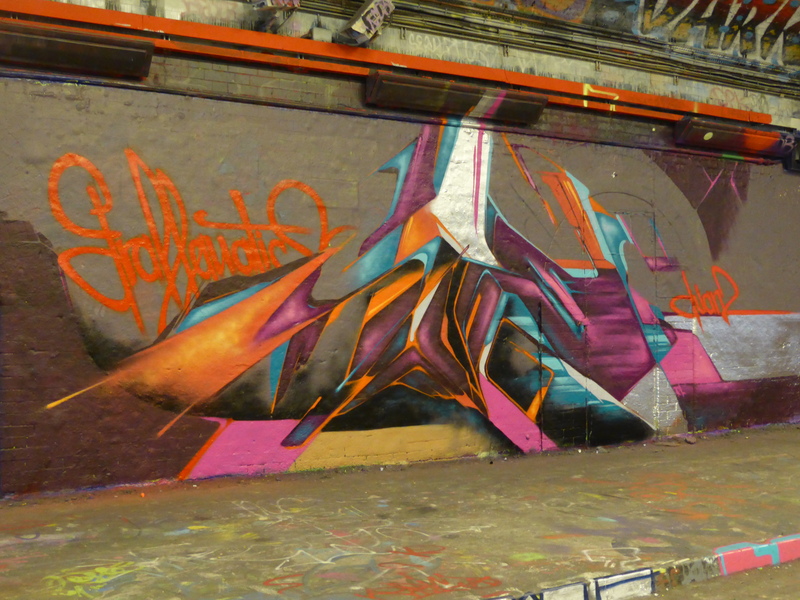 Work by Core246 in Leake Street. 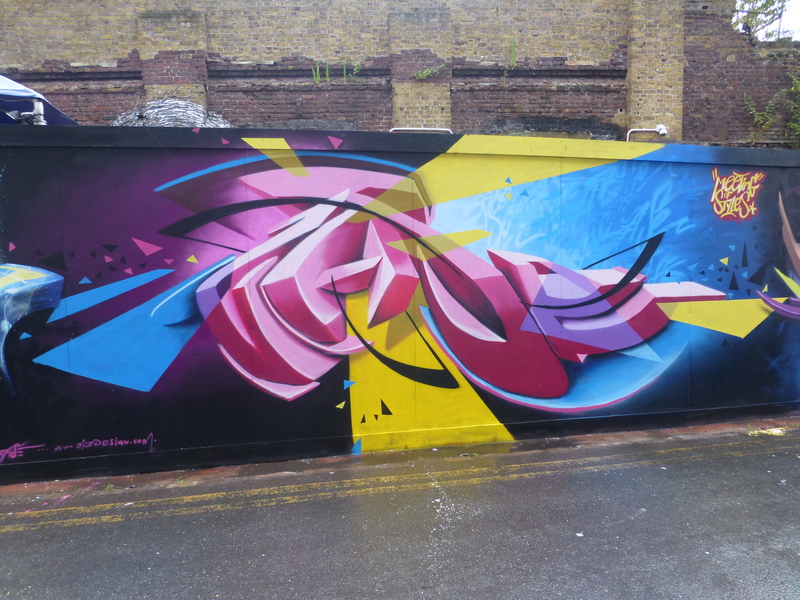 Work by Mr Cenz n Shoreditch. 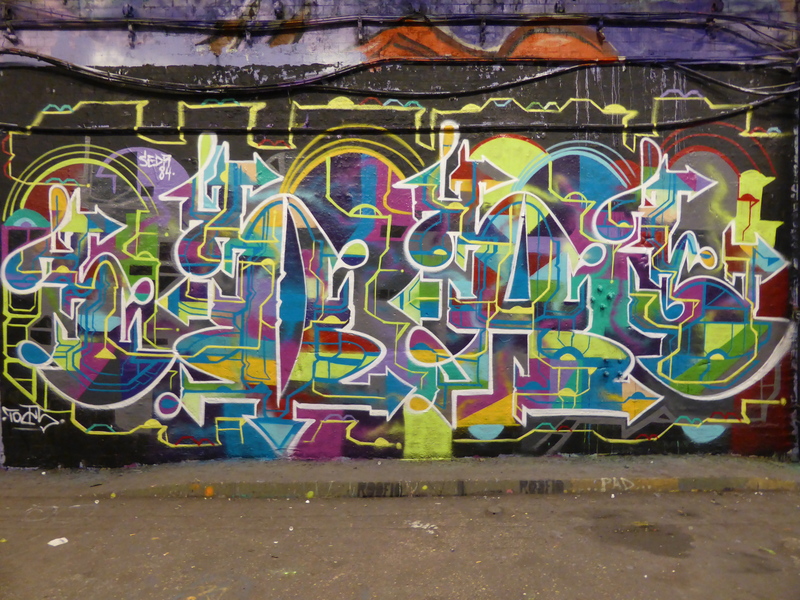 Work by Pad in Leake Street. 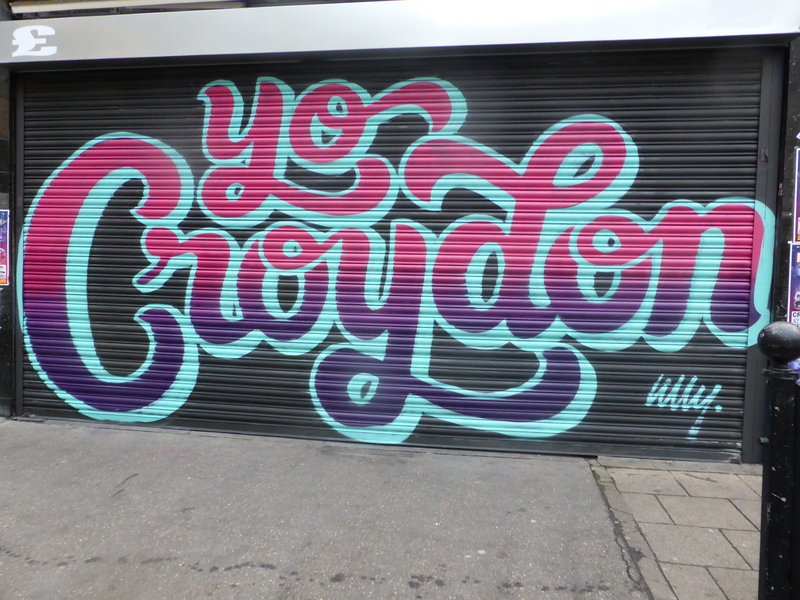 Work by Lilly Lou in Croydon, for Femme Fierce Croydon. Work by Bonzai in Croydon. 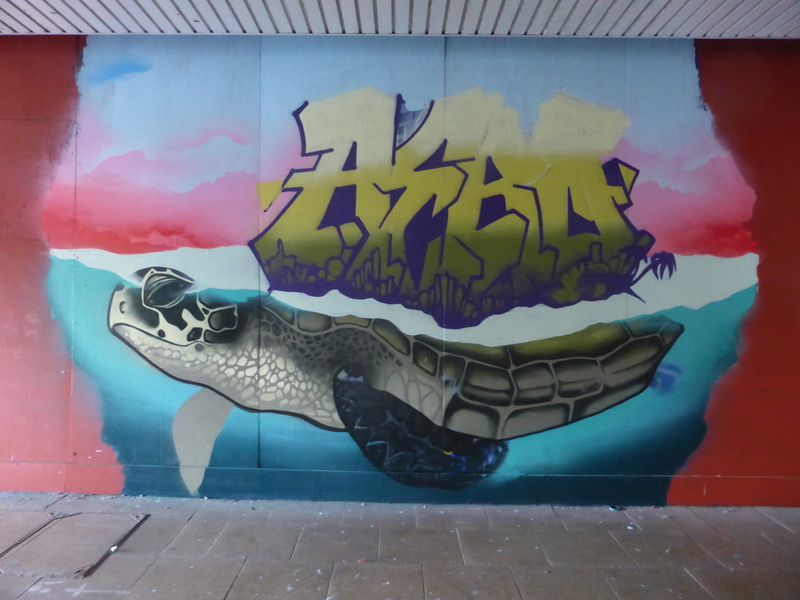 Work by Aero in Croydon. Work by Twesh’s in Croydon. Work by Lovepusher in Croydon. 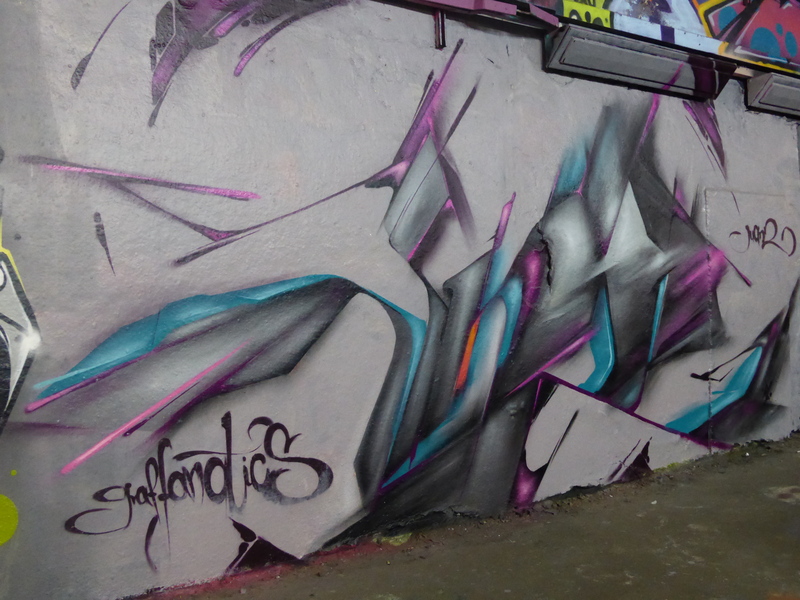 Work by Lilly Lou in Leake Street for Femme Fierce Reloaded. 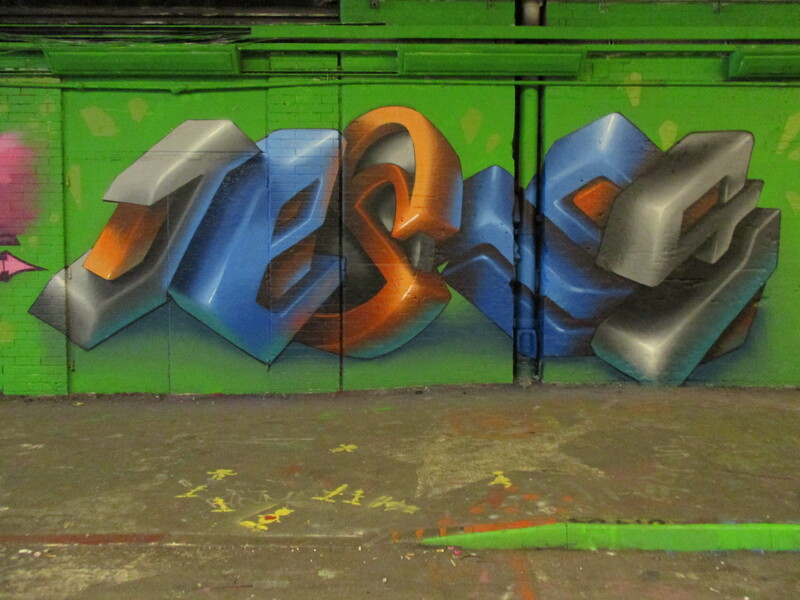 Work by Trans1 in Leake Street. Work by Kaes in Shoreditch. 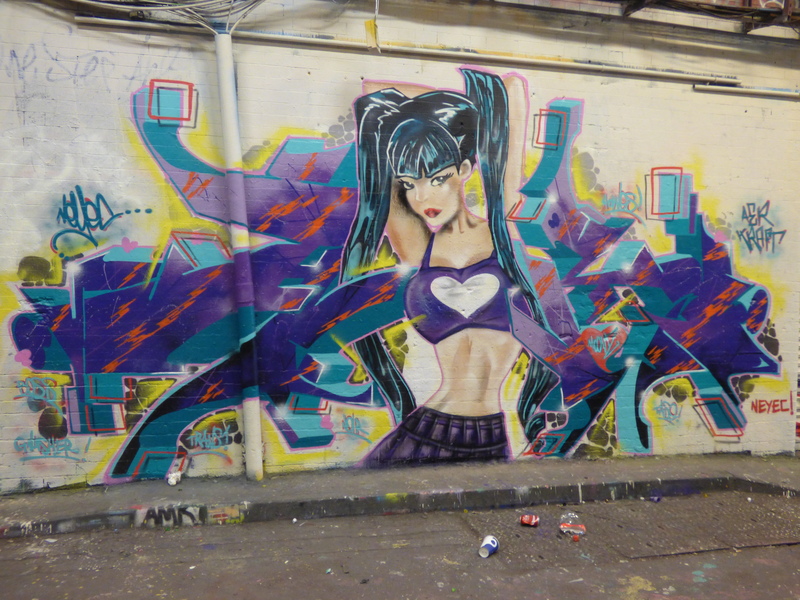 Worki by Candie Bandita in Leake Street. 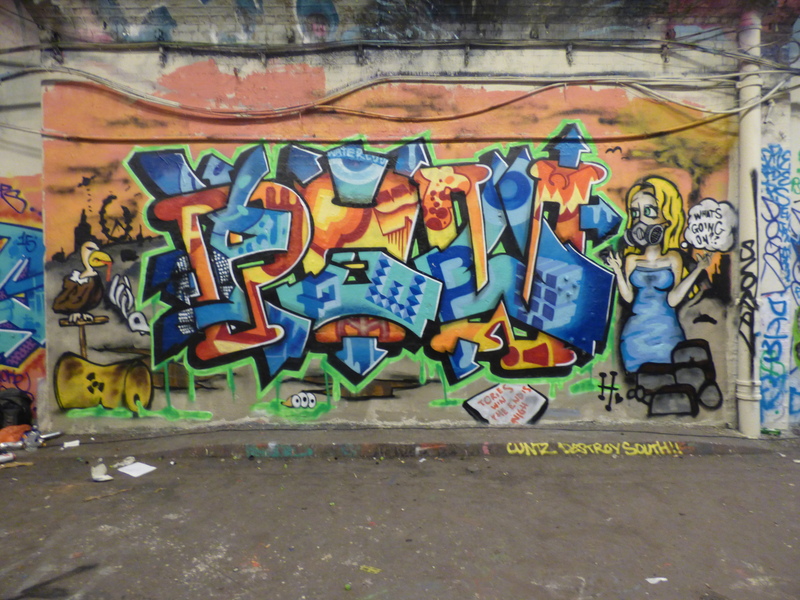 Work by Peza in Leake Street. 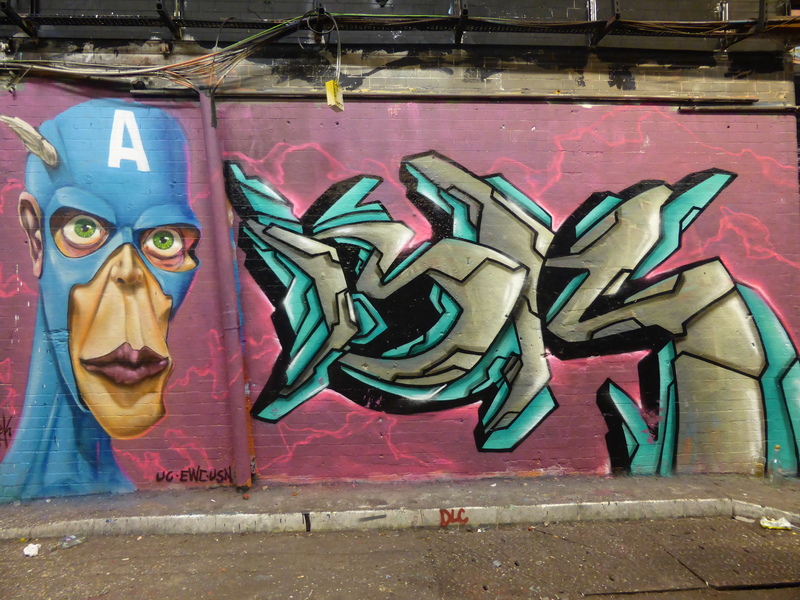 Work by Peza & Onion in Leake Street. 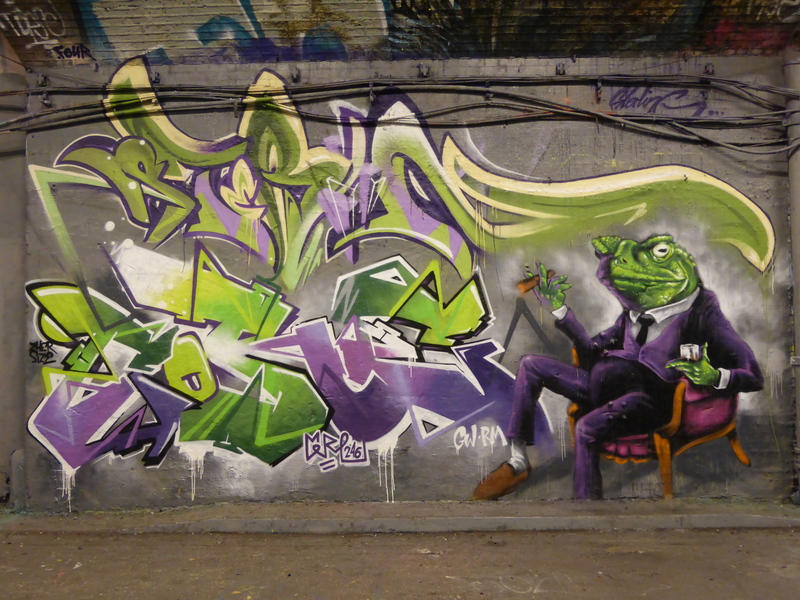 Work by Onion & T3AS3R in Leake Street. Work by ??? 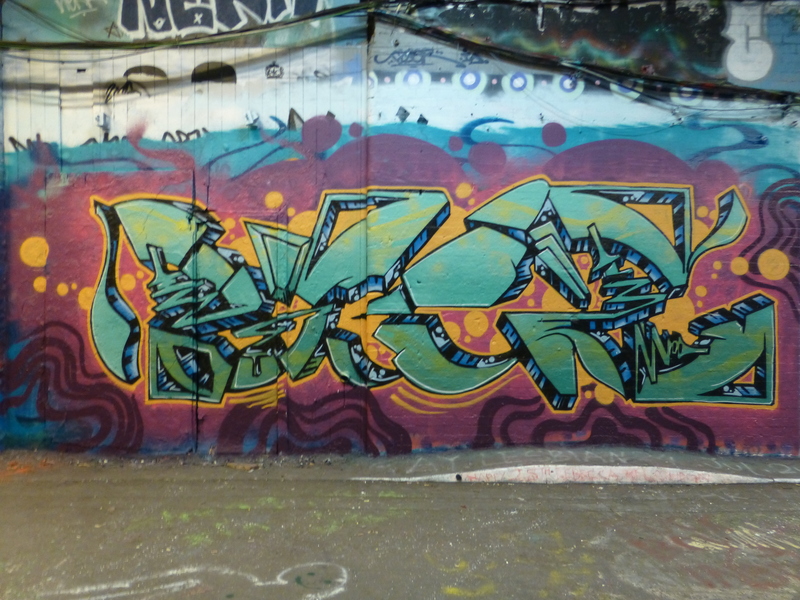 in Leake Street. 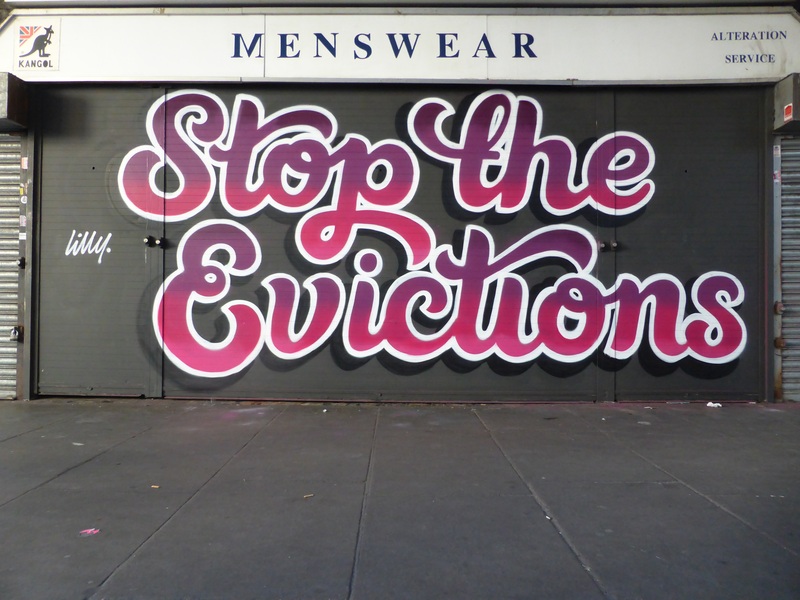 Work by Aero in Brixton. Work by Lilly Lou in Brixton. 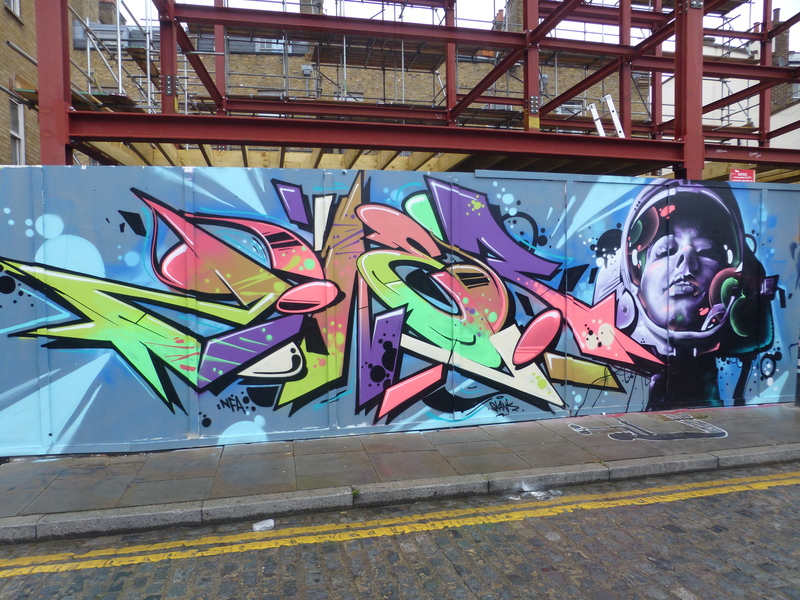 Work by Mr Cenz in Shoreditch. 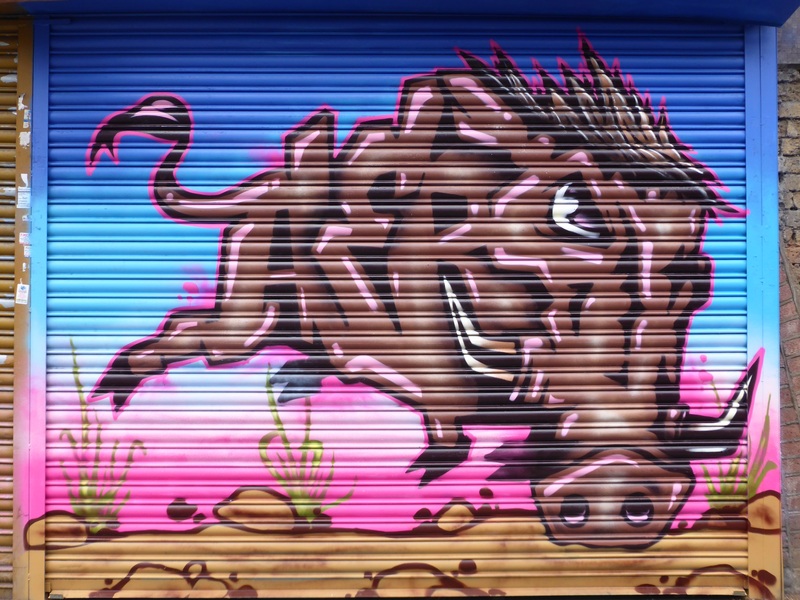 Work by Aero in Shoreditch. Work by Cept In Shoreditch. 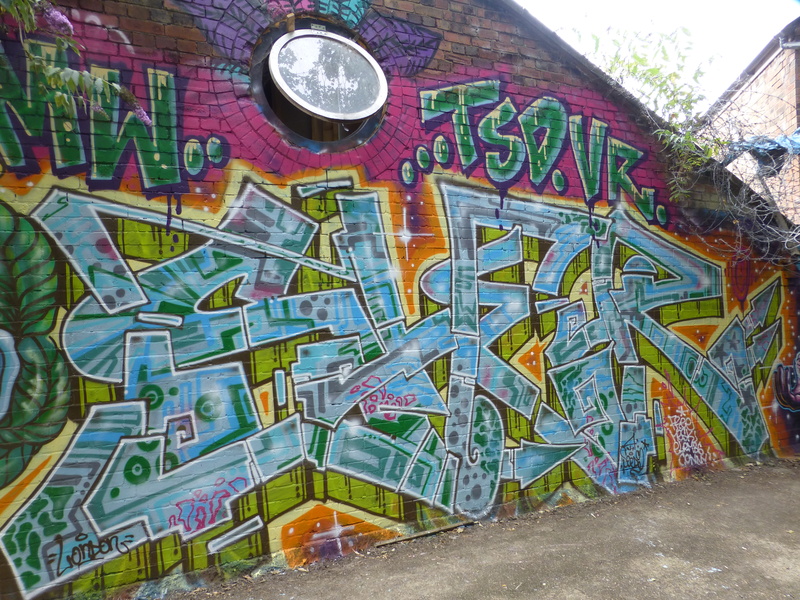 Work by Tizer in the Nomadic Community Gardens for the Green House Effect Paint Jam. 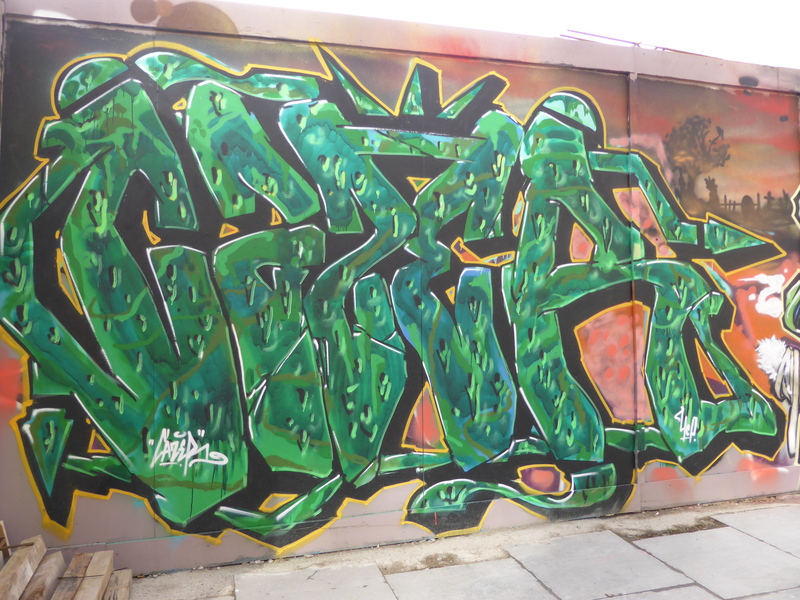 Work by Andy Seize in the Nomadic Community Gardens for the Green House Effect Paint Jam. Work by Soda on the Jealous Gallery Roof in Shoreditch. 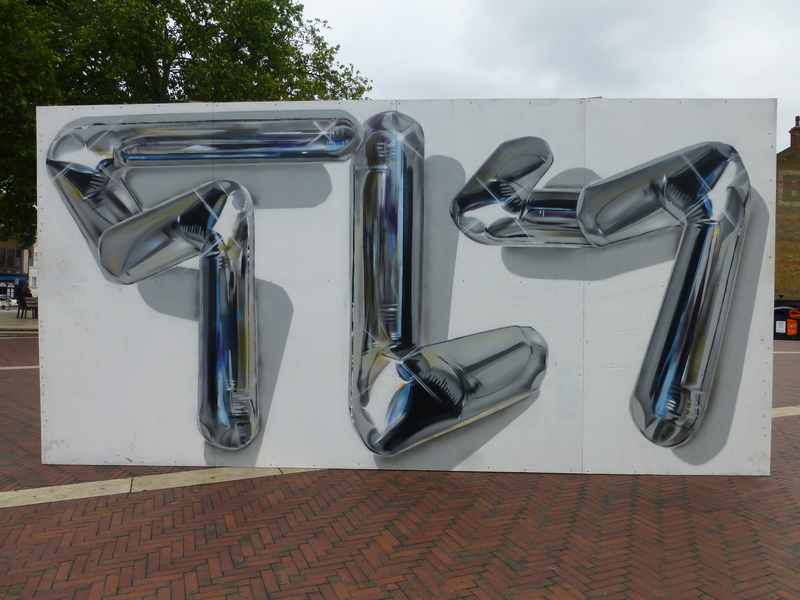 Work by Tizer for Streetfest. Work by Skor42 for Streetfest. 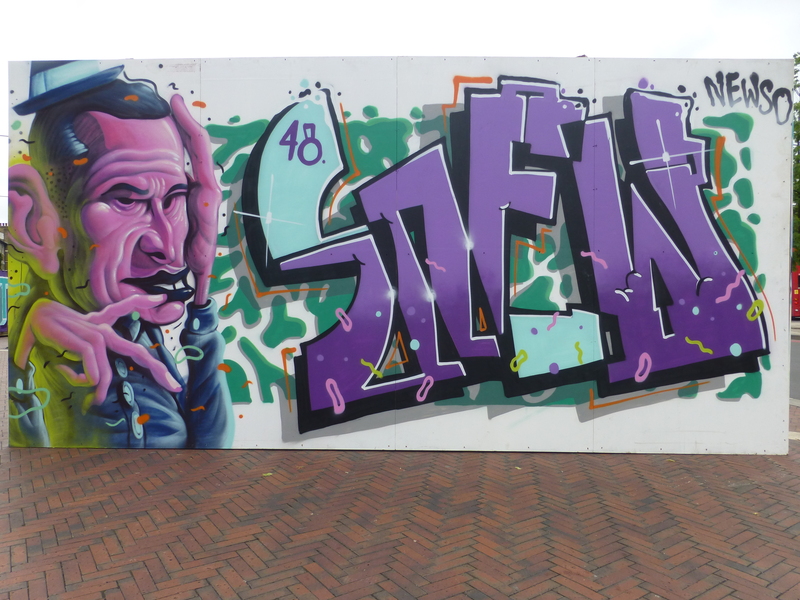 Work by Flesh031 for Streetfest. Work by Juan2 for Streetfest. Work by Core246 for Streetfest. 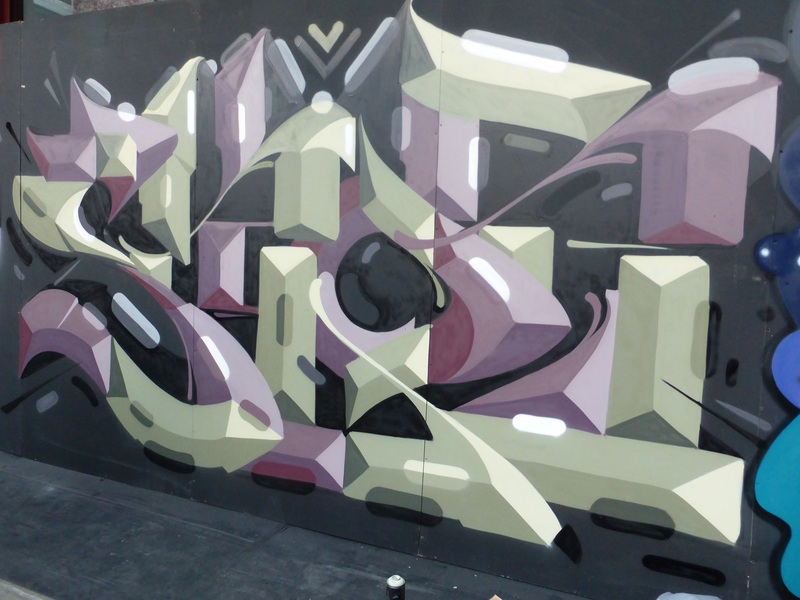 Work by Kaes for Streetfest. Work by Jeba & Skor42 in Shoreditch. Work by Lilly Lou & Gary Stranger in Shoreditch. 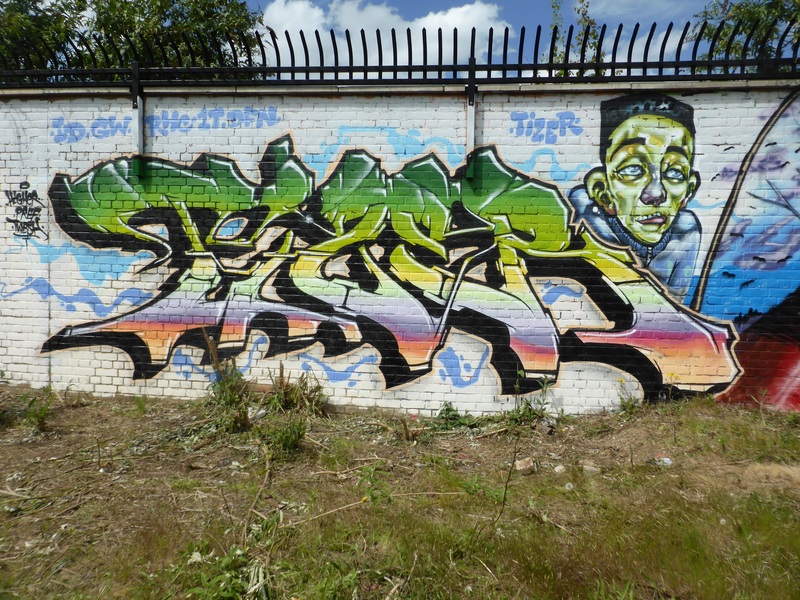 Work by Trans1 & Shyone31 in Hackney Wick. 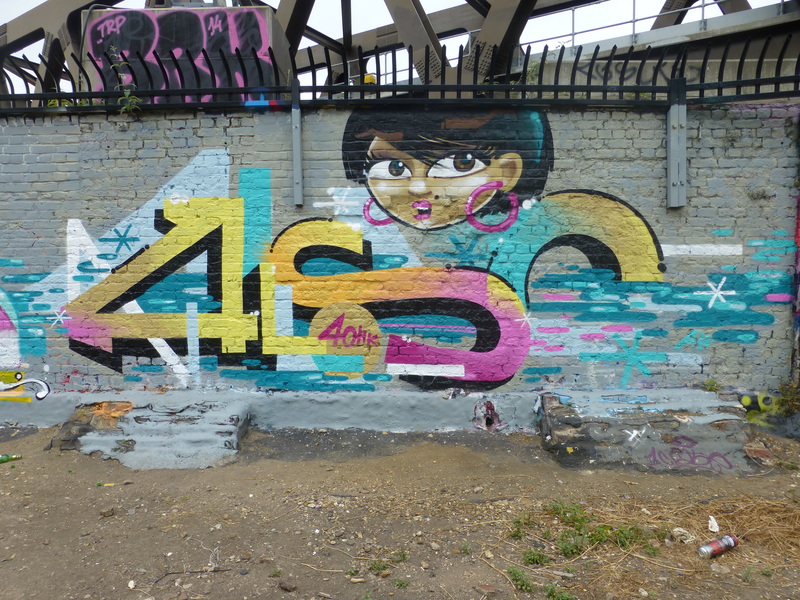 Work by Wrist77 in Hackney Wick. Work by ??? in Hackney Wick. 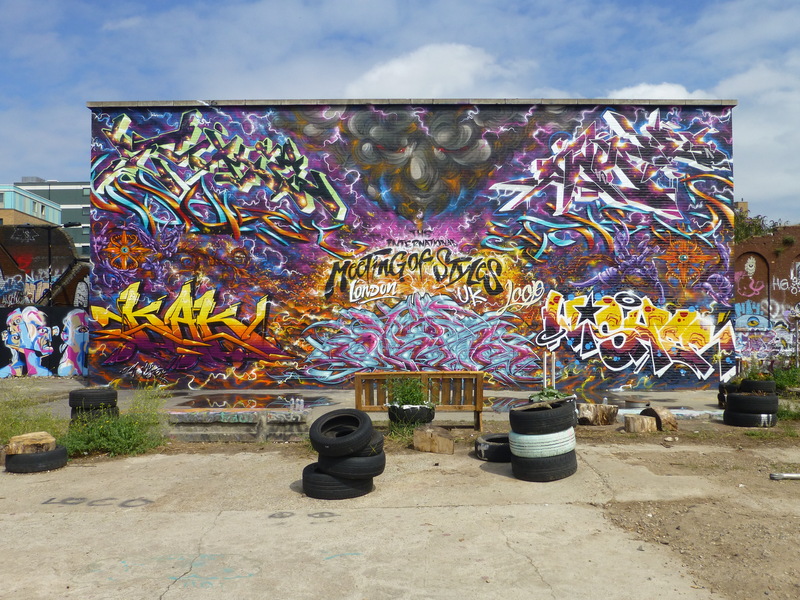 Work by Seeds One In Hackney Wick. Work by Sterling in Shoreditch. 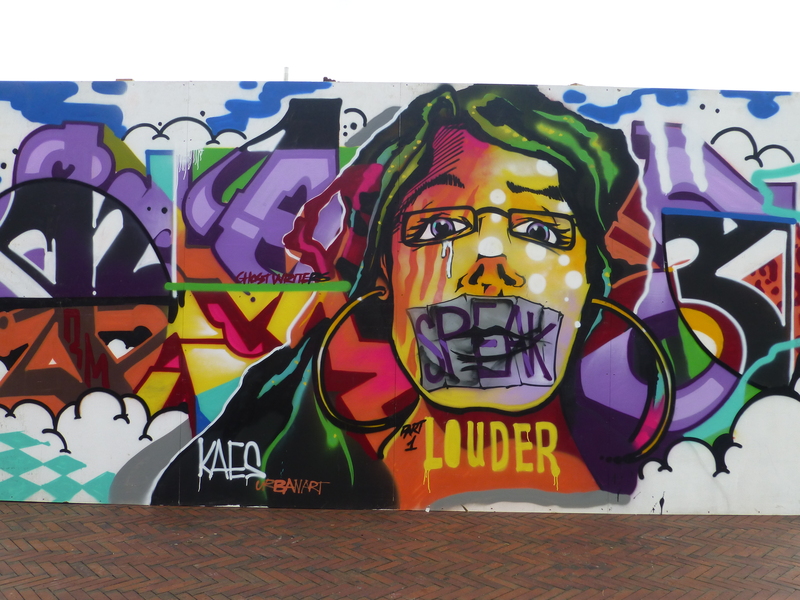 Work by Kaes in Croydon. Work by Neist in Croydon. Work by Cranio in Shoreditch. Work by Tizer in Willesden for the Collective Paint Jam. 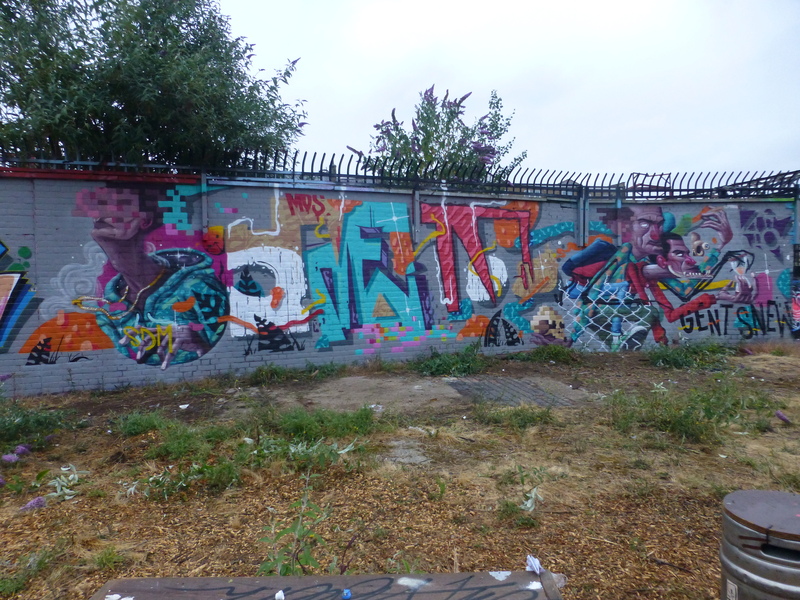 Work by Ricky Also in Willesden for the Collective Paint Jam. 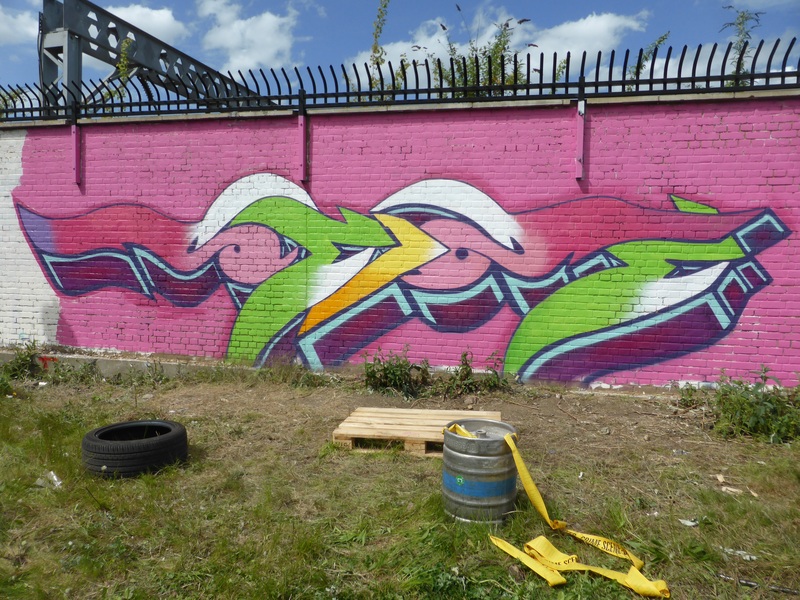 Work by Aero in Willesden for the Collective Paint Jam. 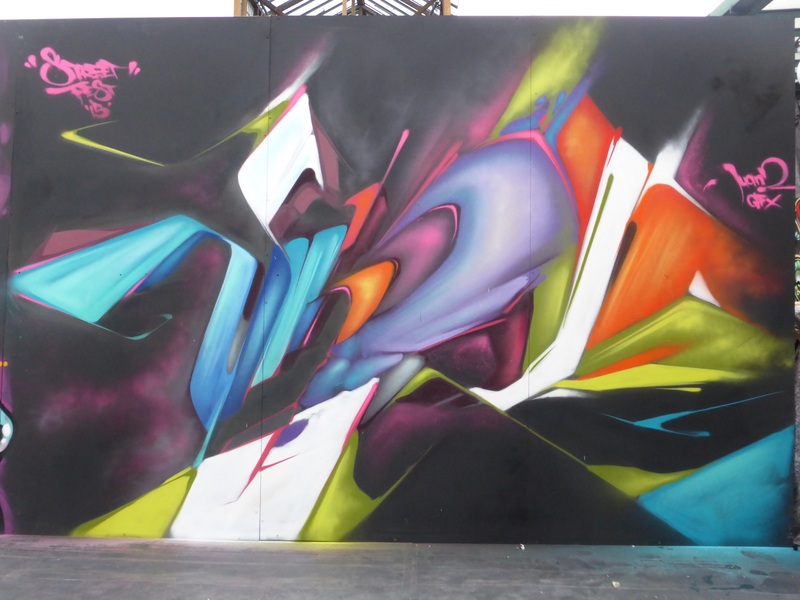 Stunning work from Mr Cenz. Work by Bonzai in Walthamstow for Wood Street Walls. Work by Ricky Also in Shoreditch. 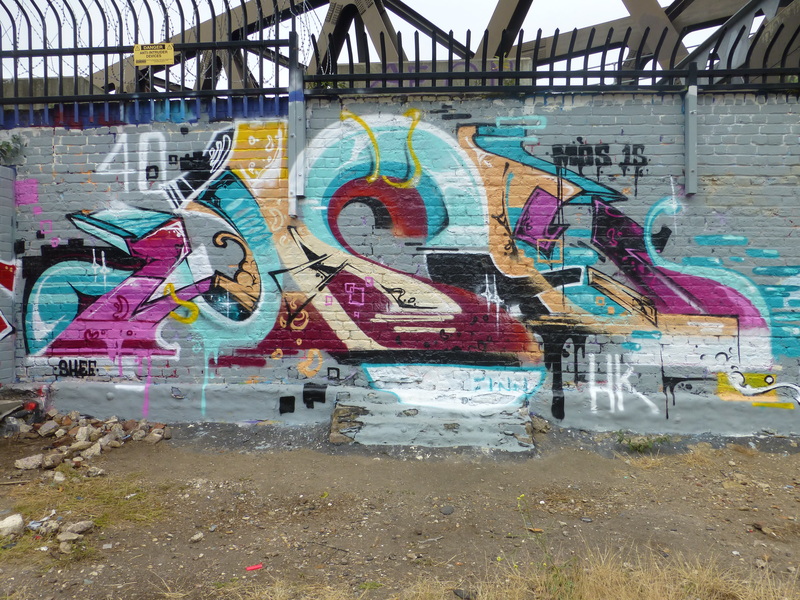 Work by Trans1 in Hackney Wick. Work by Ben Eine & Cheese London in Hoxton. 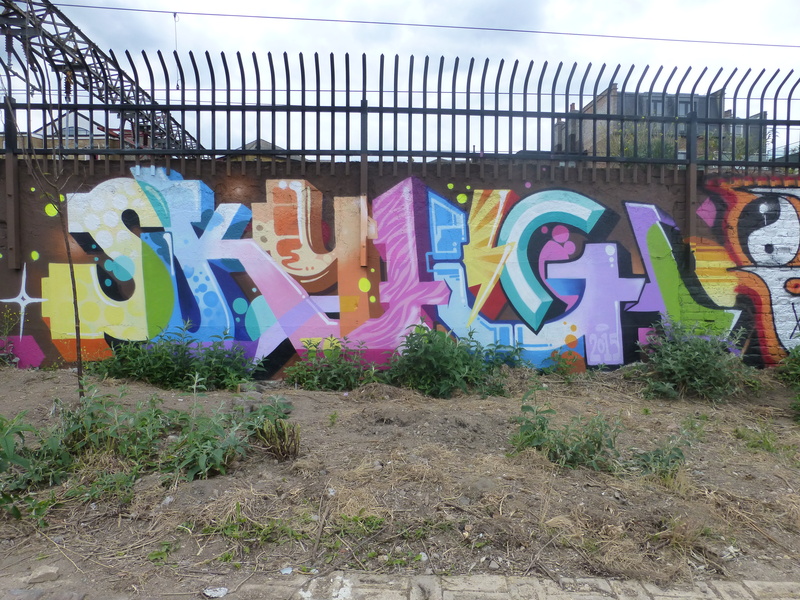 Bright and colourful work from SkyHigh in the Nomadic Community Gardens. Amazing work by Fanakapan in Walthamstow for Wood Street Walls. Work by Gary Stranger in Shoreditch. Work by ??? ?, SkyHigh & Decor in Croydon. Work by ???? in Croydon. Work by Decor in Croydon. 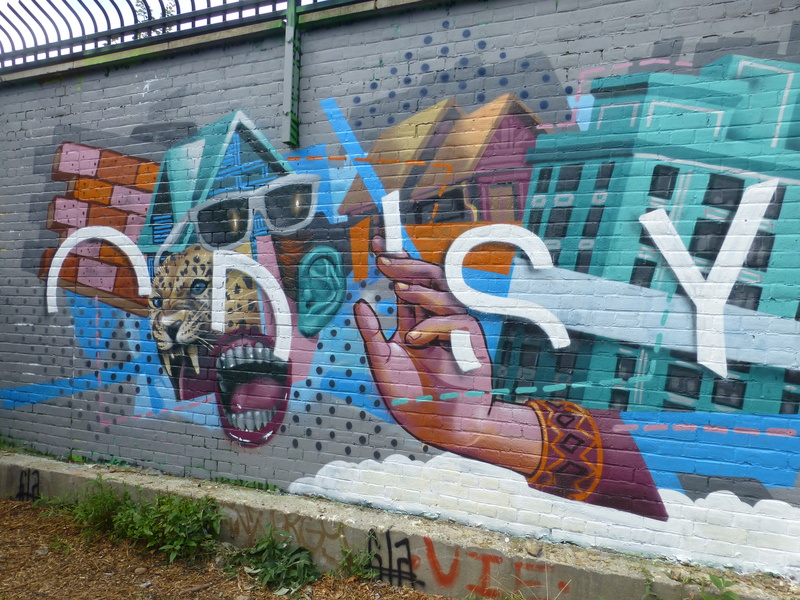 Work from Odisy in the Nomadic Community Gardens for Meeting of Styles 2015. 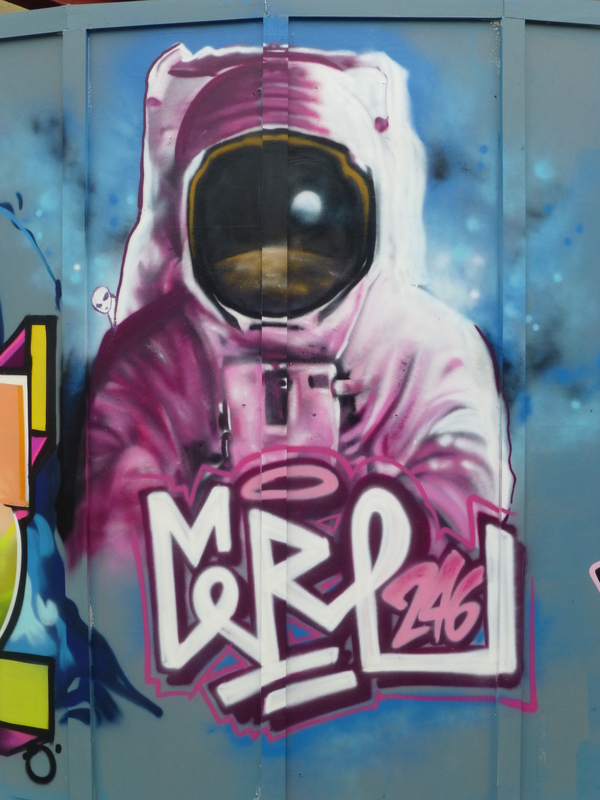 Work from Gent 48 & Newso in the Nomadic Community Gardens for Meeting of Styles 2015. 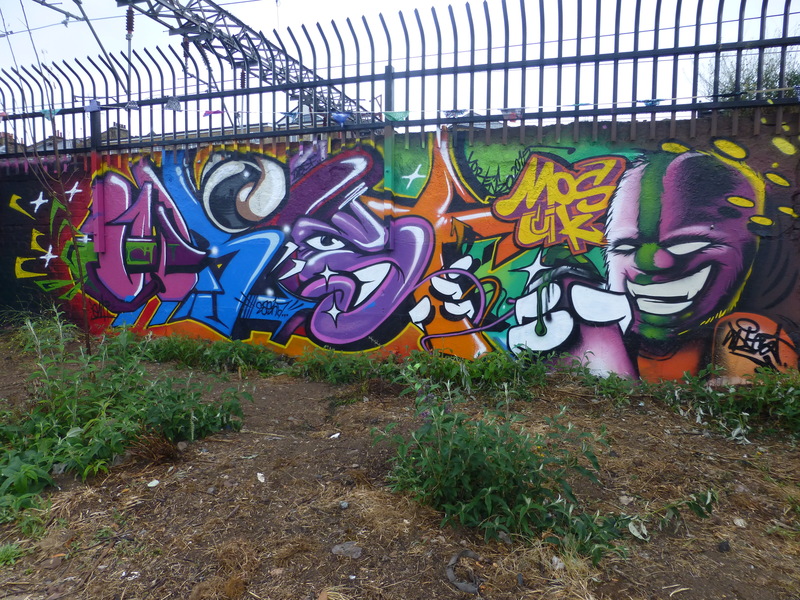 Work by Wrist77 in the Nomadic Community Gardens for Meeting of Styles 2015. 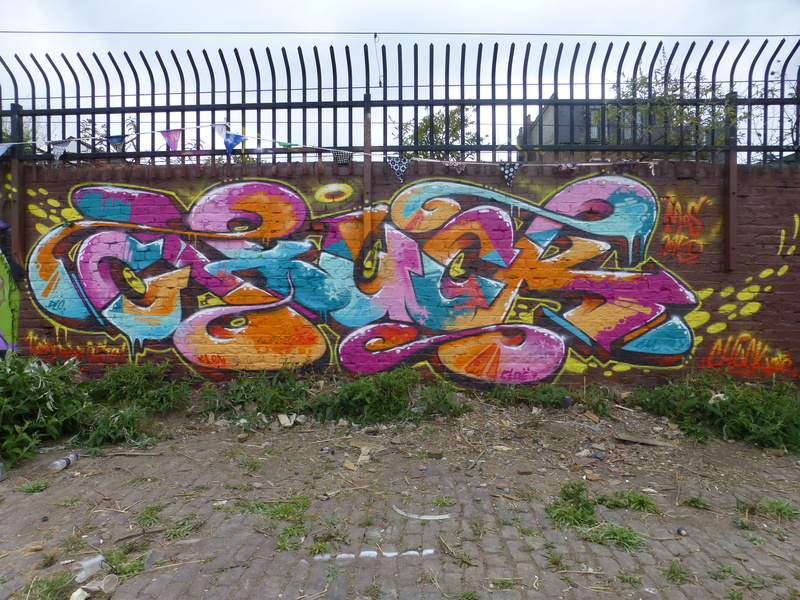 Work by Chuck in the Nomadic Community Gardens for Meeting of Styles 2015. 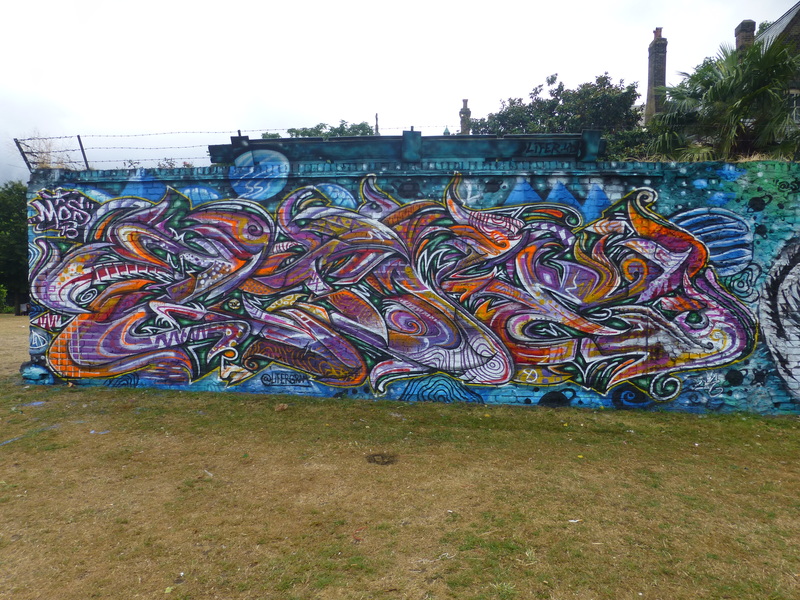 Works from Tyme (top left), Adno (top centre), Awore (top right), Djalouz (middle left & middle right), Kak (bottom left), Ekto (bottom centre), Wisher (bottom right) with the centre piece and background work from Jim Vision & Zadok in the Nomadic Community Gardens for Meeting of Styles 2015. 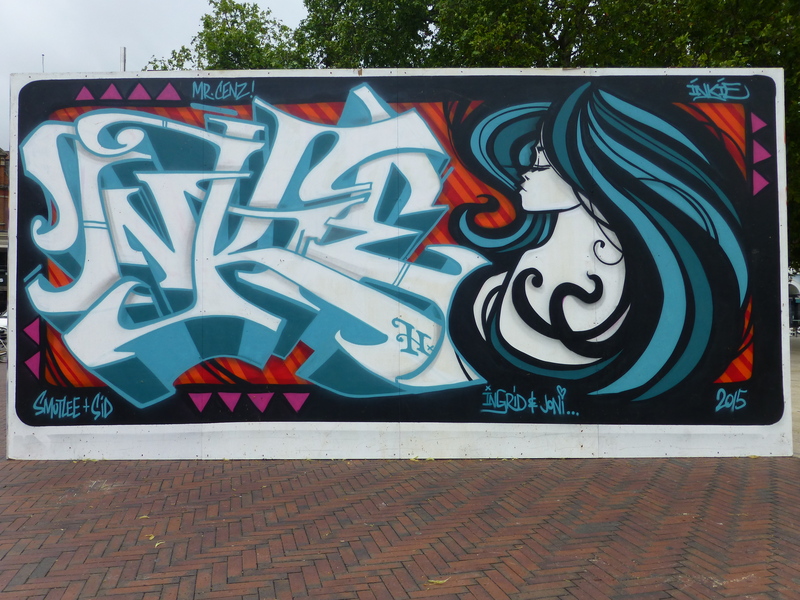 Work by Ekto in the Nomadic Community Gardens for Meeting of Styles 2015. 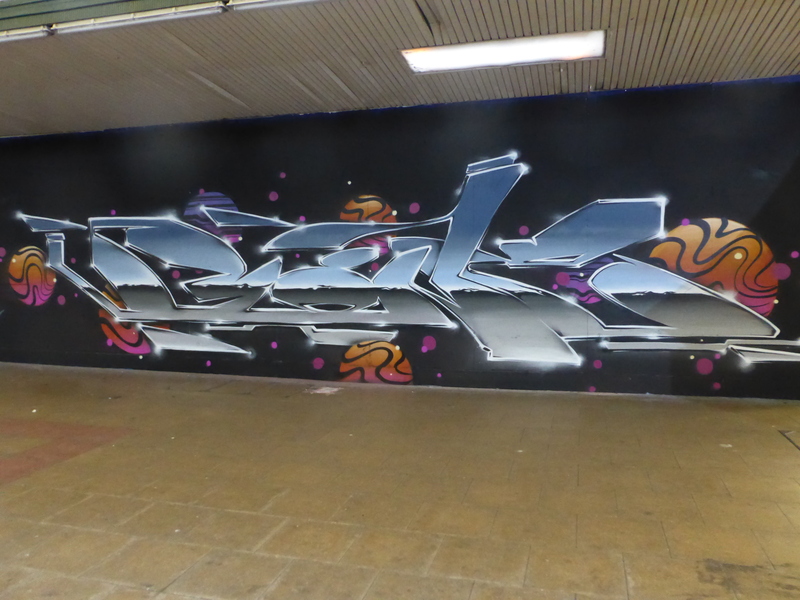 Work by Ink Fetish for Meeting of Styles 2015. 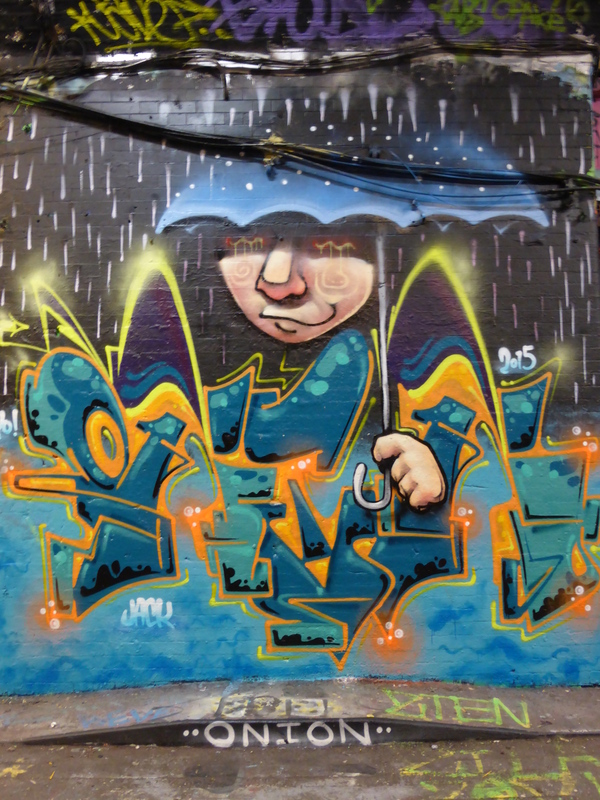 Work by 40HK for Meeting of Styles 2015. 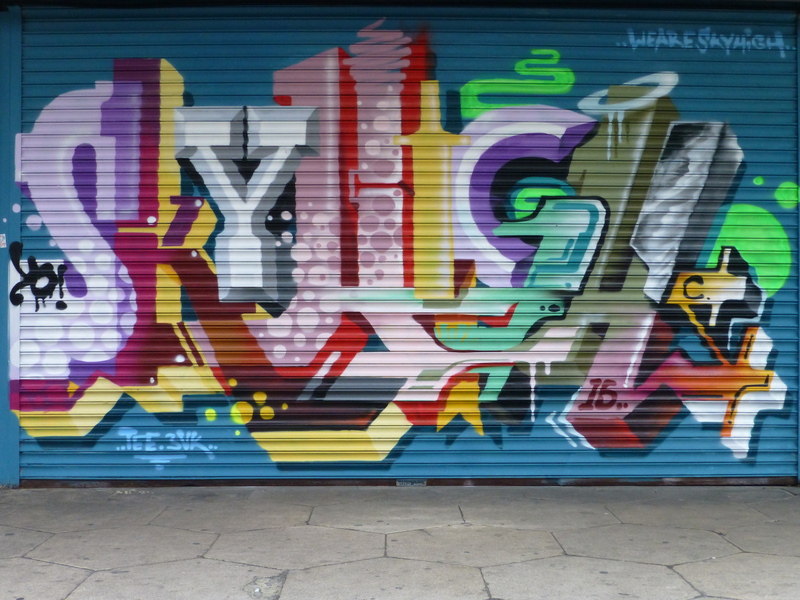 Work by Ricky Also for Meeting of Styles 2015. 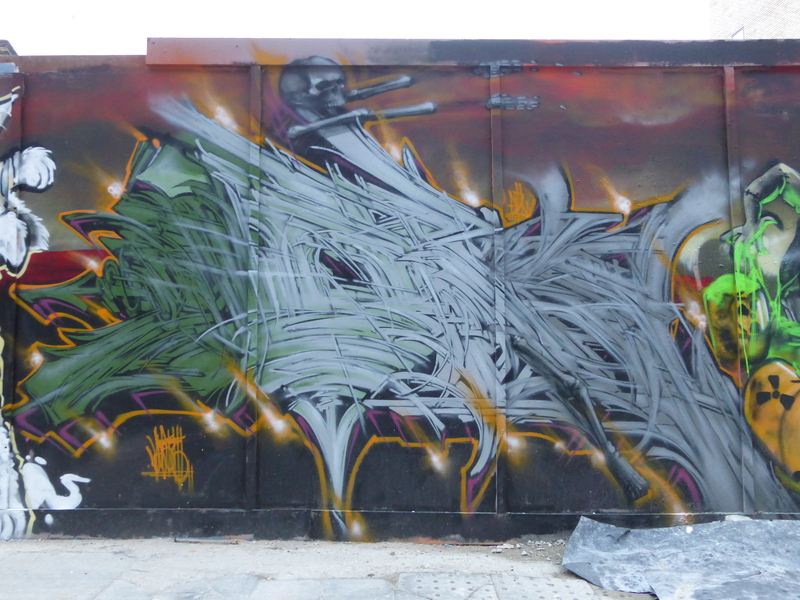 Work by Lifer for Meeting of Styles 2015. 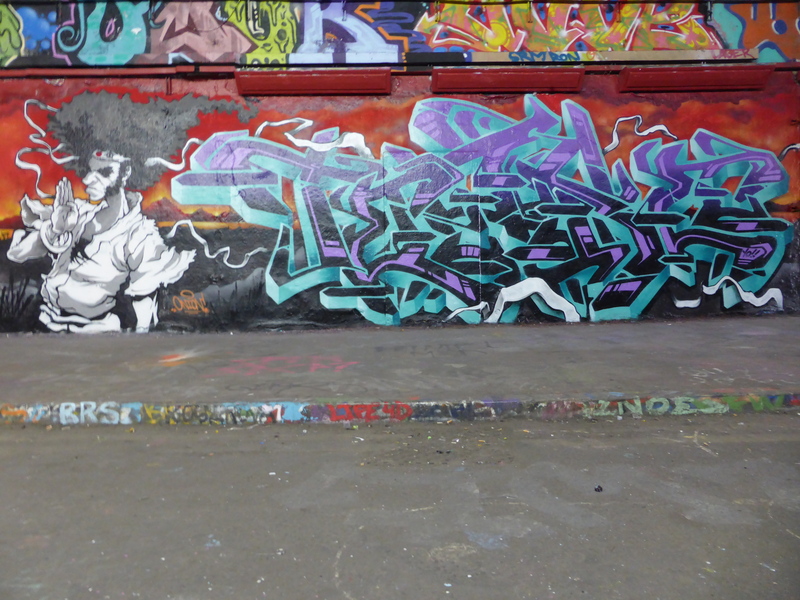 Work by Ebee for Meeting of Styles 2015. 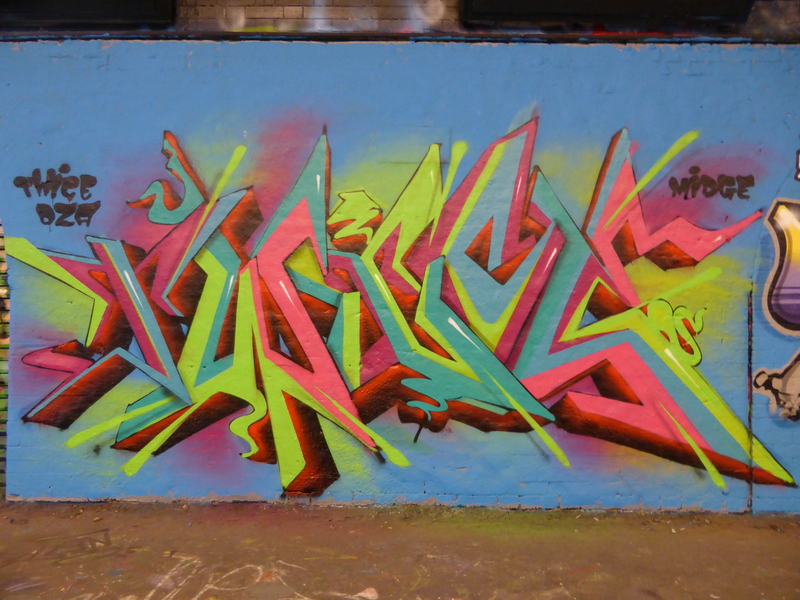 Work by Zase for Meeting of Styles 2015. Work by Hush for Meeting of Styles 2015. 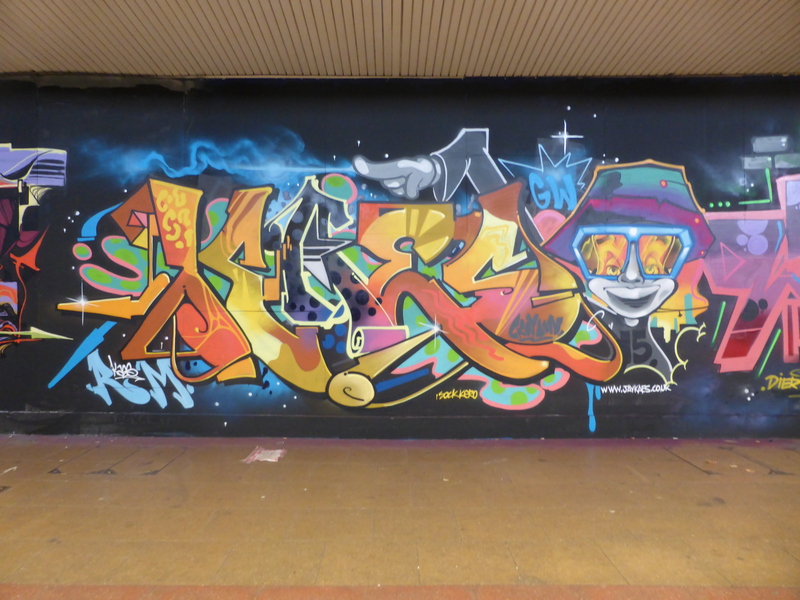 Work by Gams & Llouls for Meeting of Styles 2015. 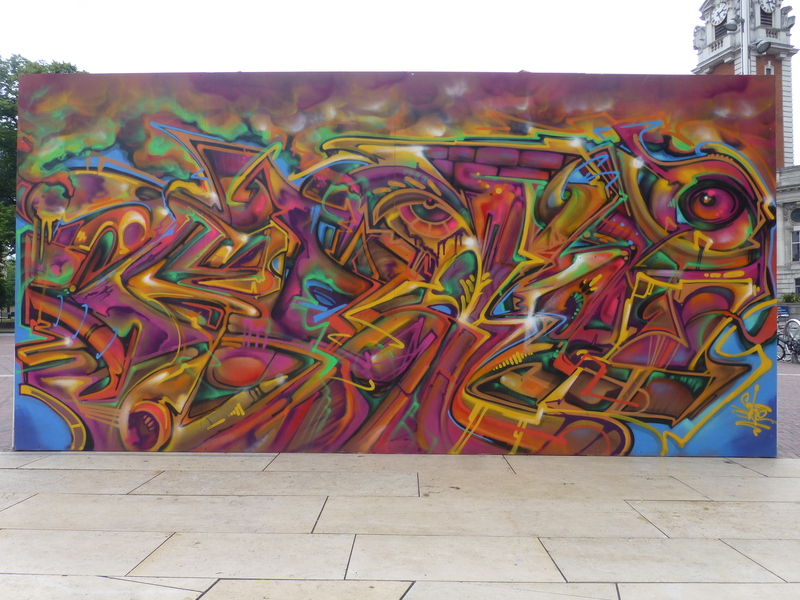 Work by Ziner for Meeting of Styles 2015. 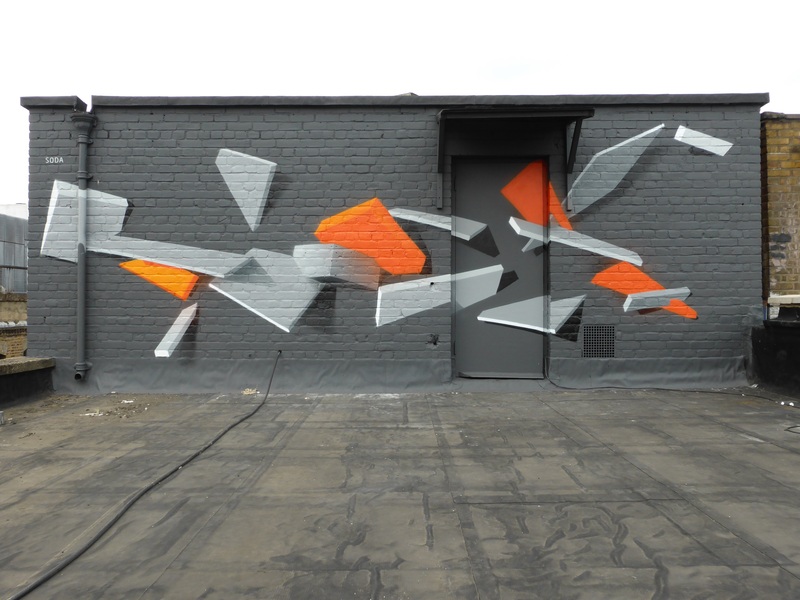 Work by Vomet & Core 246 for Meeting of Styles 2015. 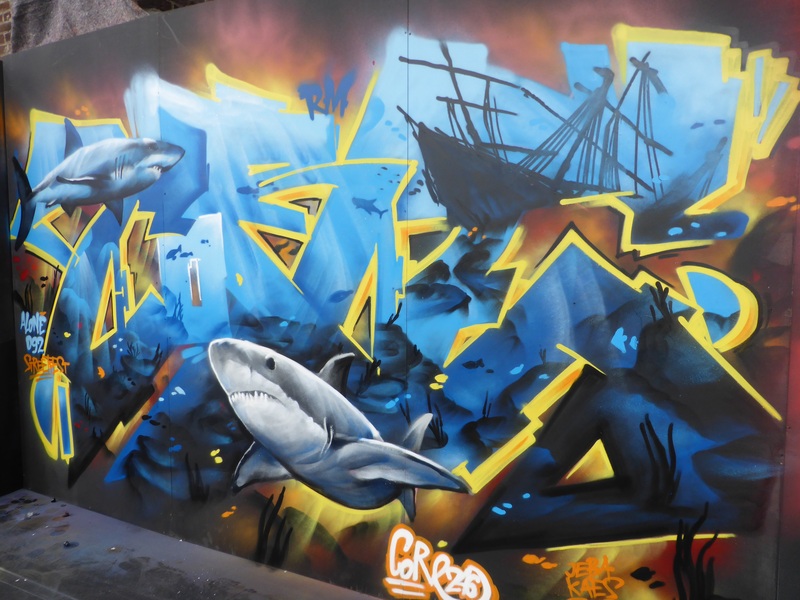 Work by Core 246 for Meeting of Styles 2015. 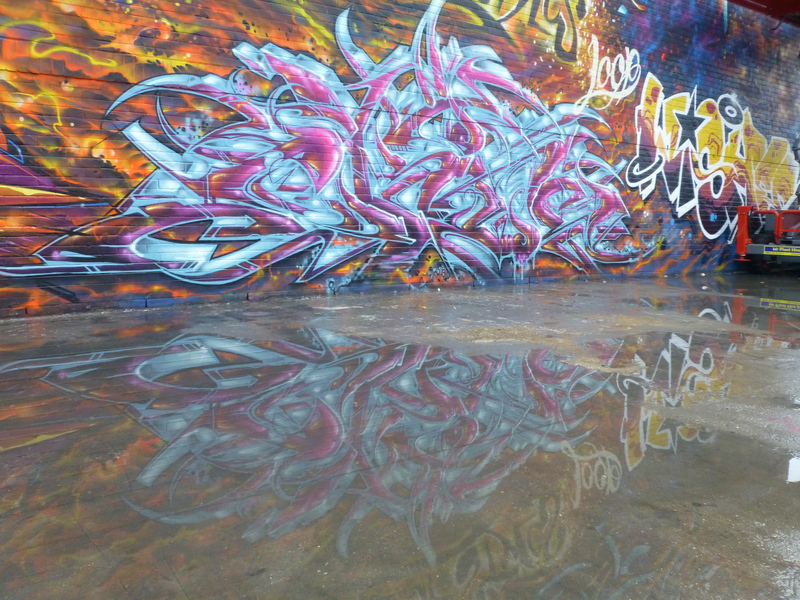 Work by Juan2 for Meeting of Styles 2015. Work by Bonzai for Urban Art Brixton 2015. Work by Fanakapan for Urban Art Brixton 2015. 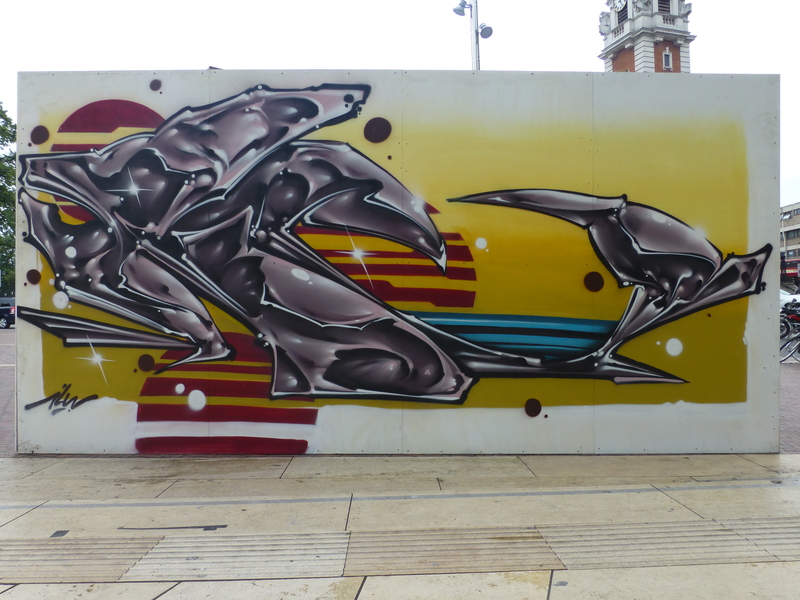 Collaboration work from Gent 48 & Newso for Urban Art Brixton 2015. 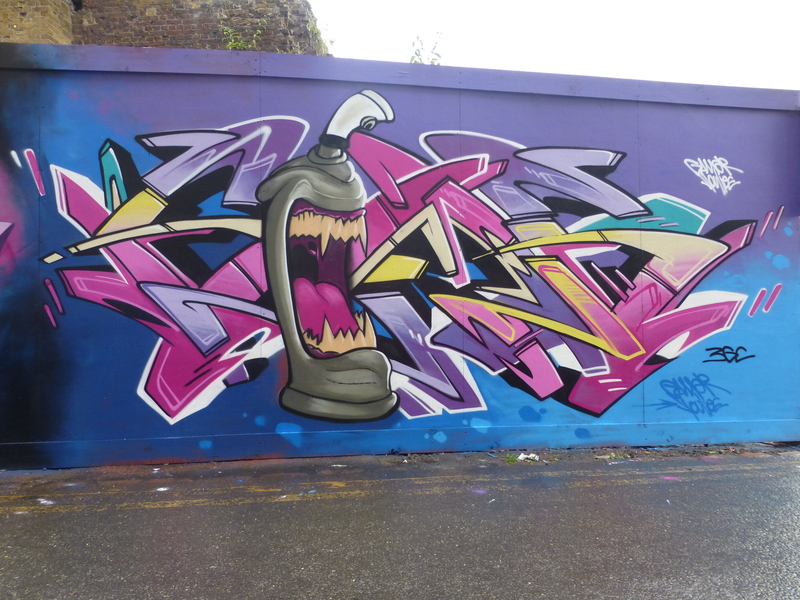 Work by Kaes for Urban Art Brixton 2015. 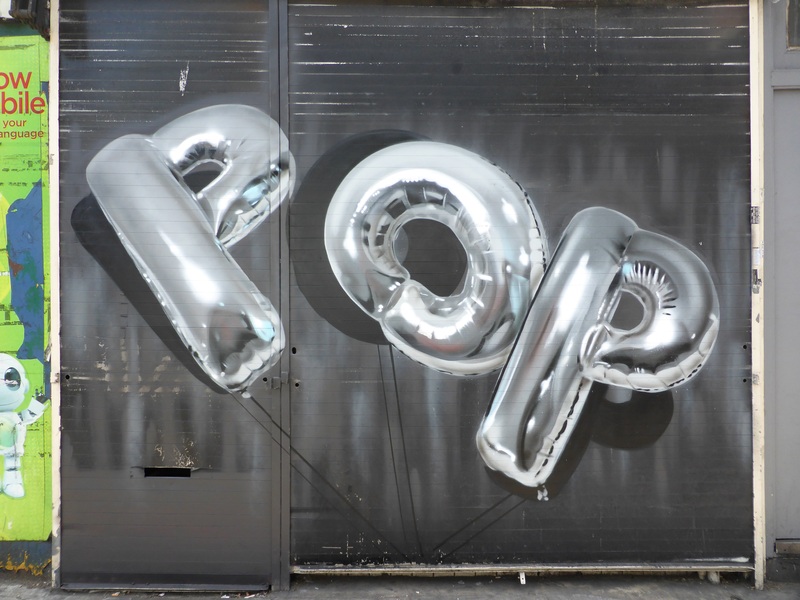 Work by Solo for Urban Art Brixton 2015. 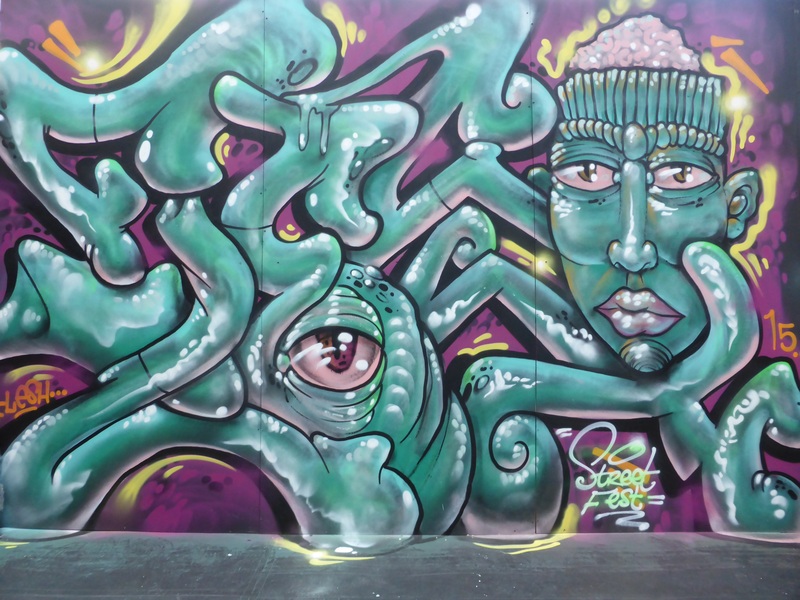 Work by Inkie for Urban Art Brixton 2015. Work by Vibes in Shoreditch. Work by Neist in Shoreditch. Work by Core246 in Shoreditch. Work by Lilly Lou in Shoreditch. 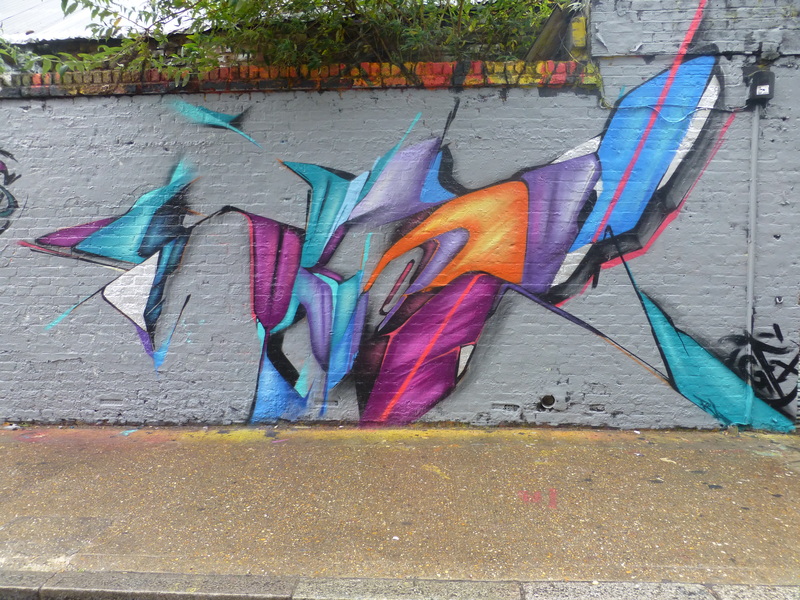 Work by Shida in Shoreditch. 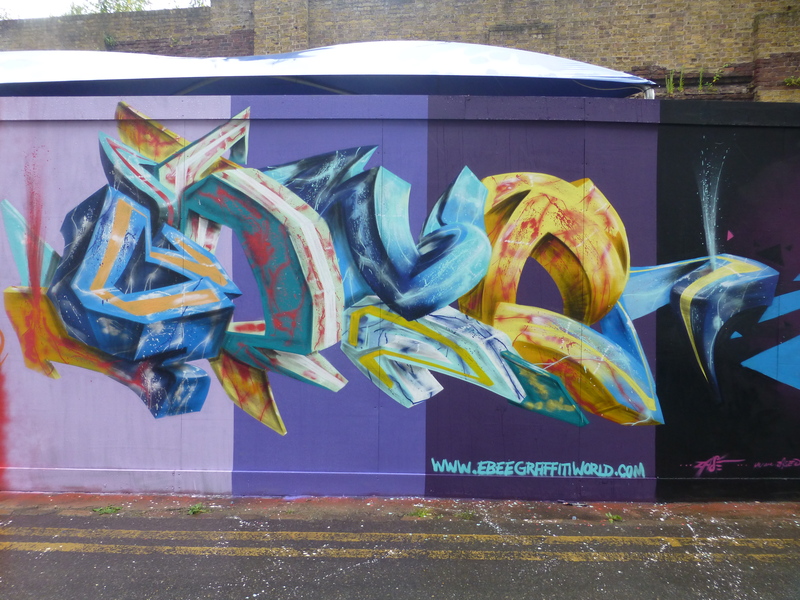 Work by Flesh031 in North London. Work by The Real Dill in North London. 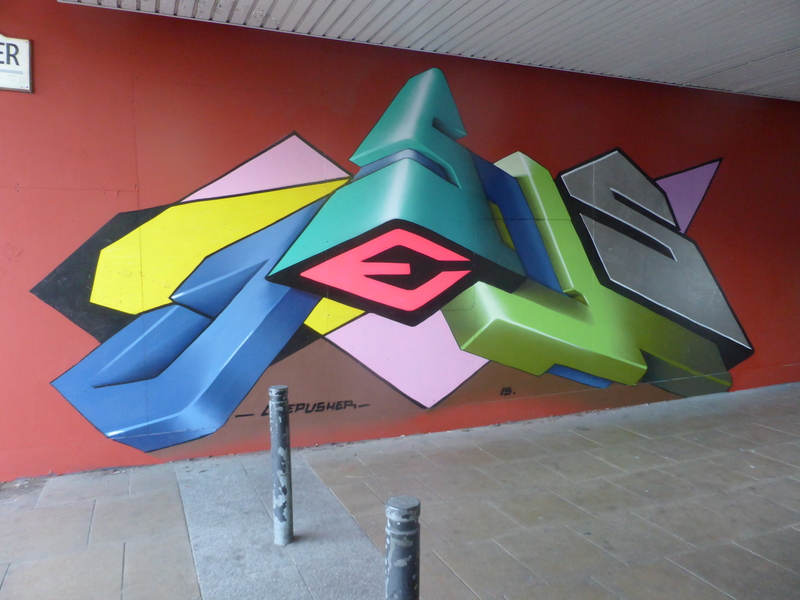 Works by Eska & Trans1 in Croydon. 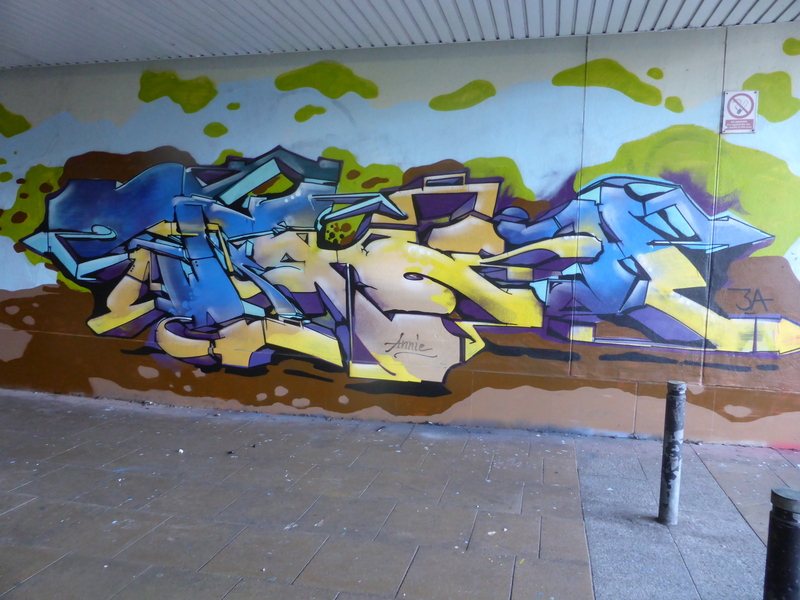 Works by Trans1 in Croydon. Works by Van Dali in Croydon. Work by ??? in Shoreditch. Work from Lifer in the Nomadic Community Gardens. 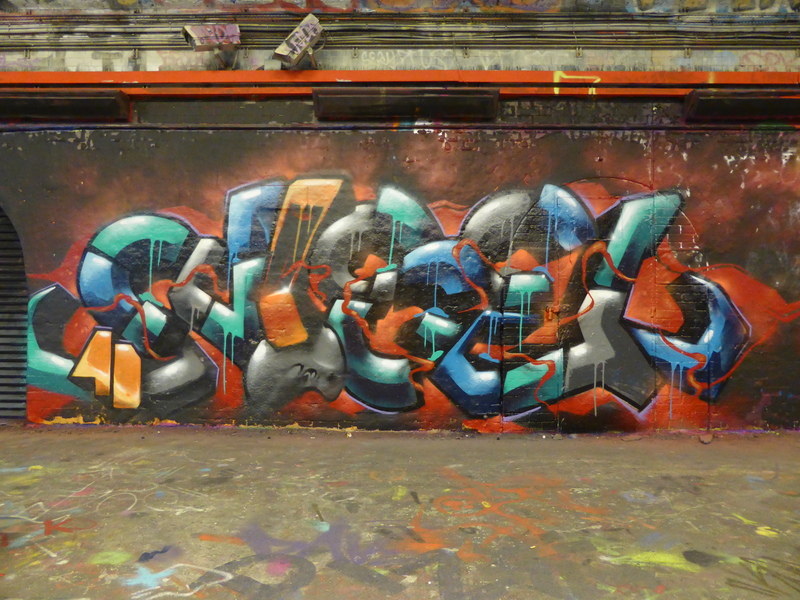 Work by Neyec in Leake Street, for the Batttle of Waterloo 2015. 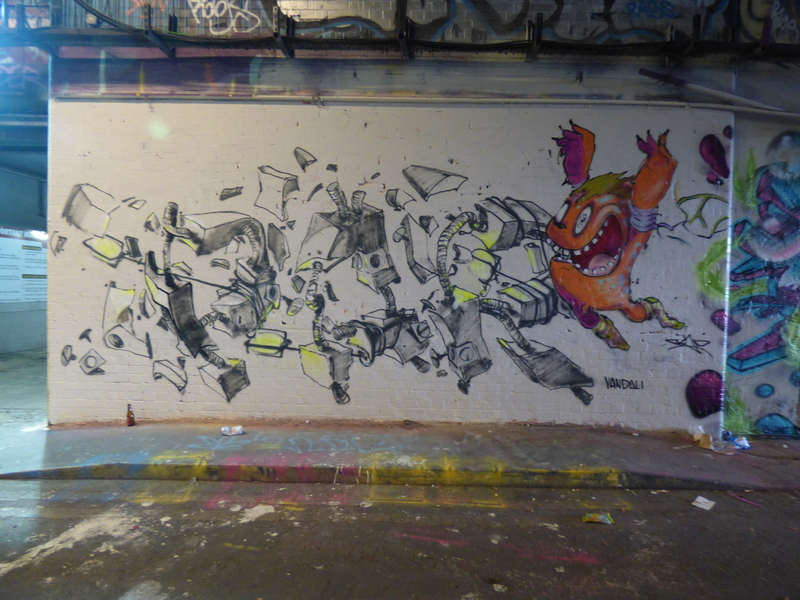 Work by Parlee in Leake Street, for the Batttle of Waterloo 2015. 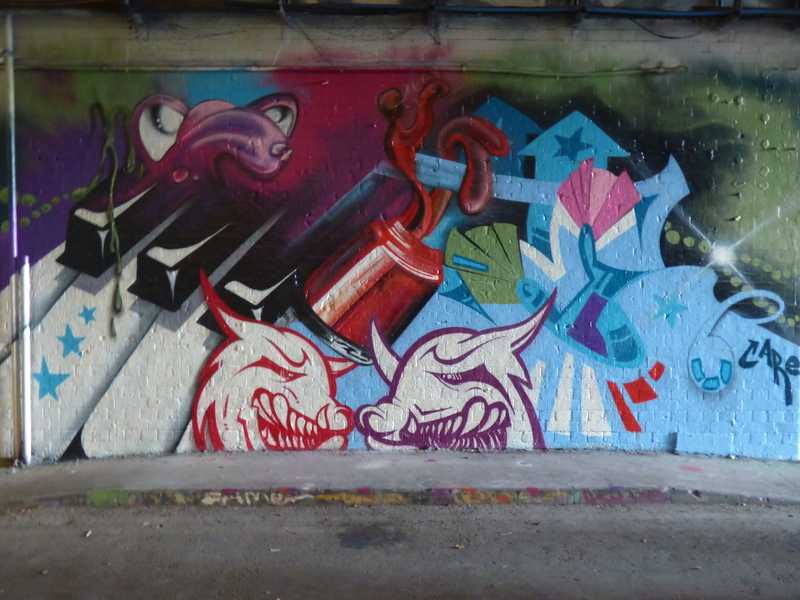 Work by Care in Leake Street, for the Batttle of Waterloo 2015. 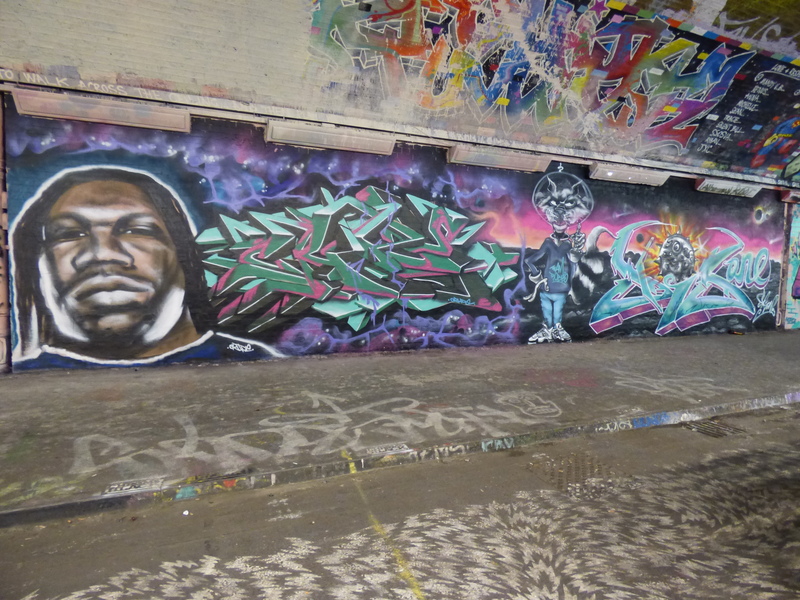 Work by Chuck in Leake Street, for the Batttle of Waterloo 2015. 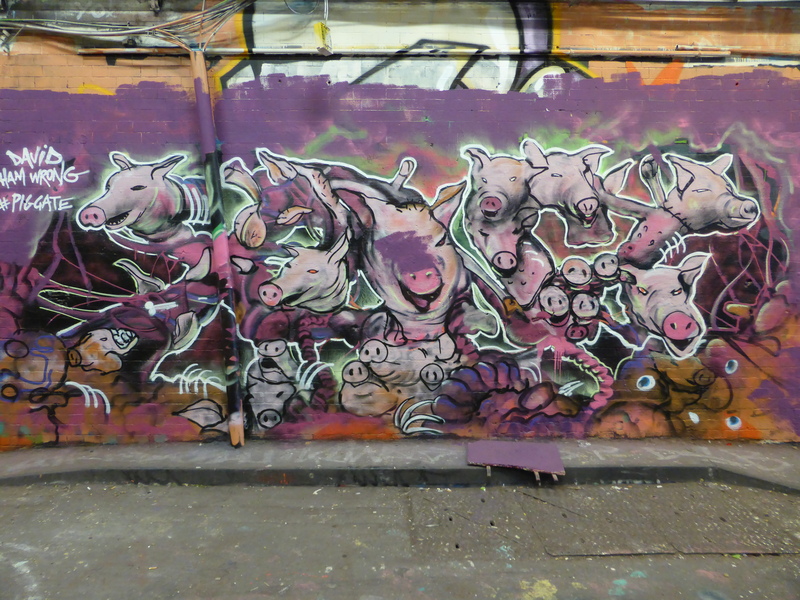 Work by She in Leake Street, for the Batttle of Waterloo 2015. 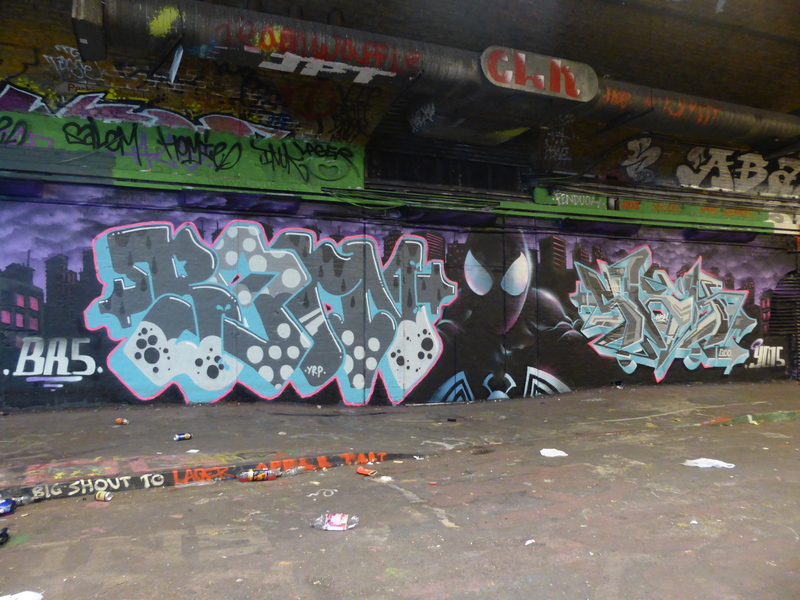 Work by Crude & Dis1 in Leake Street, for the Batttle of Waterloo 2015. 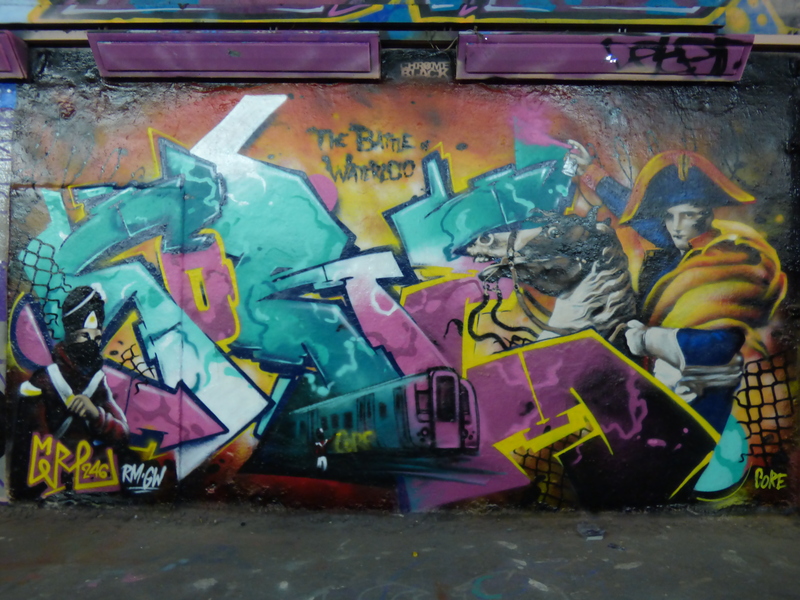 Work by Crede in Leake Street, for the Batttle of Waterloo 2015. 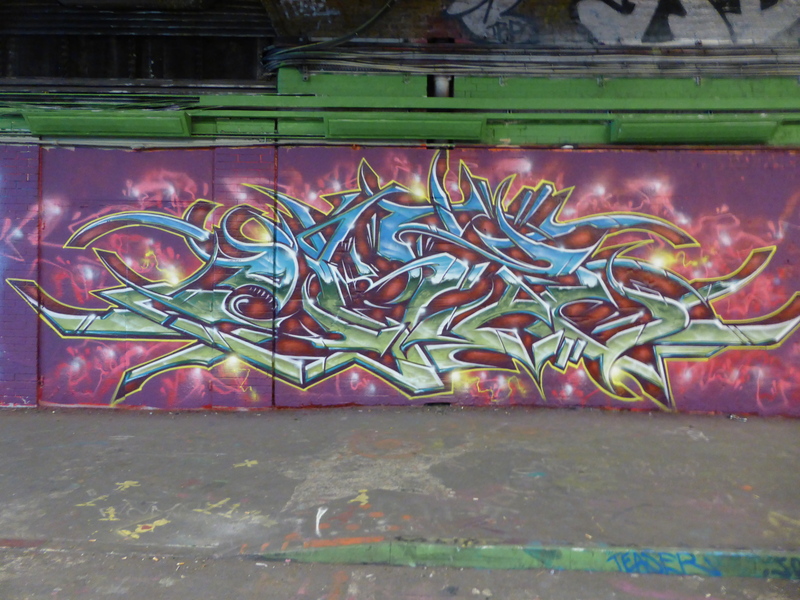 Work by Dis1 in Leake Street, for the Batttle of Waterloo 2015. 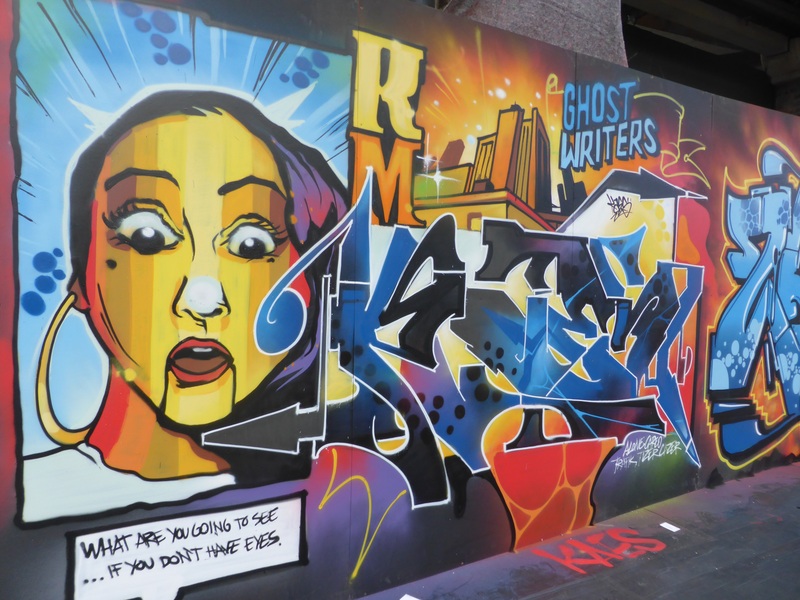 Work by Ghost Writers 2Rise & Kaes in Leake Street, for the Batttle of Waterloo 2015. 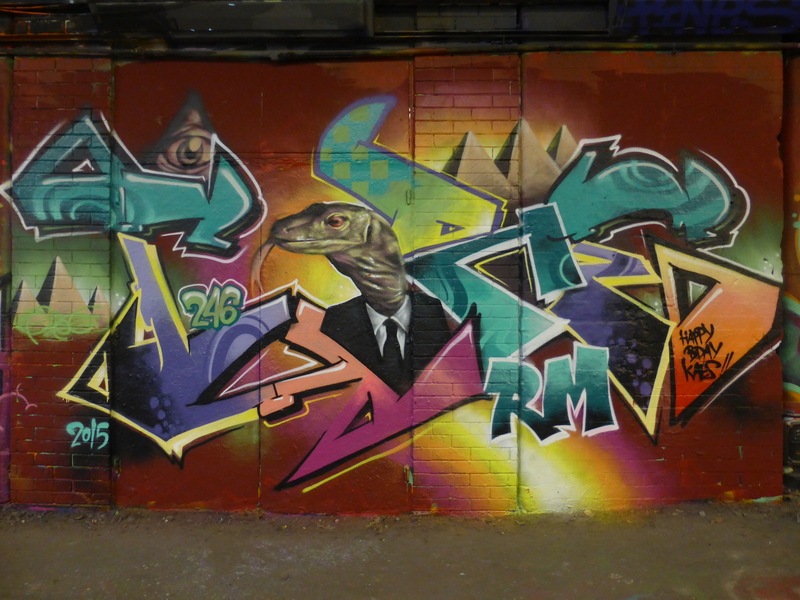 Work by 2Rise in Leake Street, for the Batttle of Waterloo 2015. 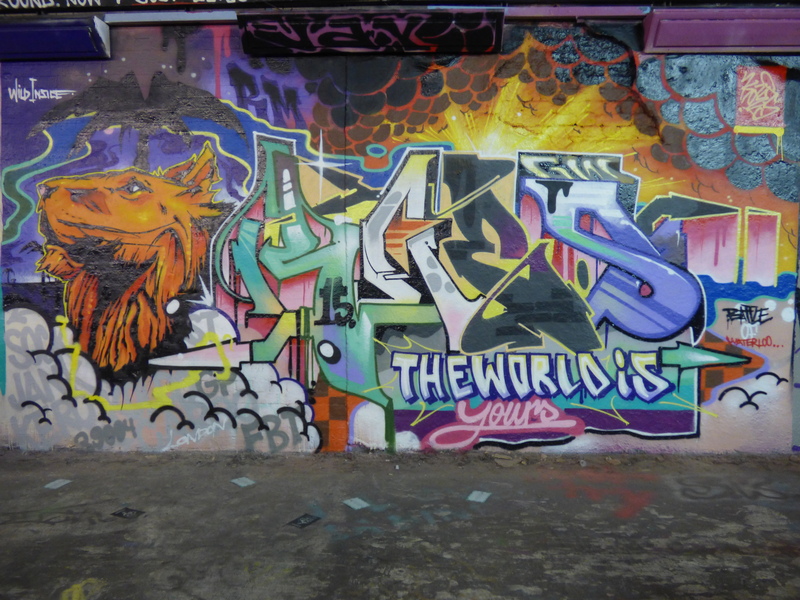 Work by Kaes ‘The World Is Yours’ in Leake Street, for the Batttle of Waterloo 2015. 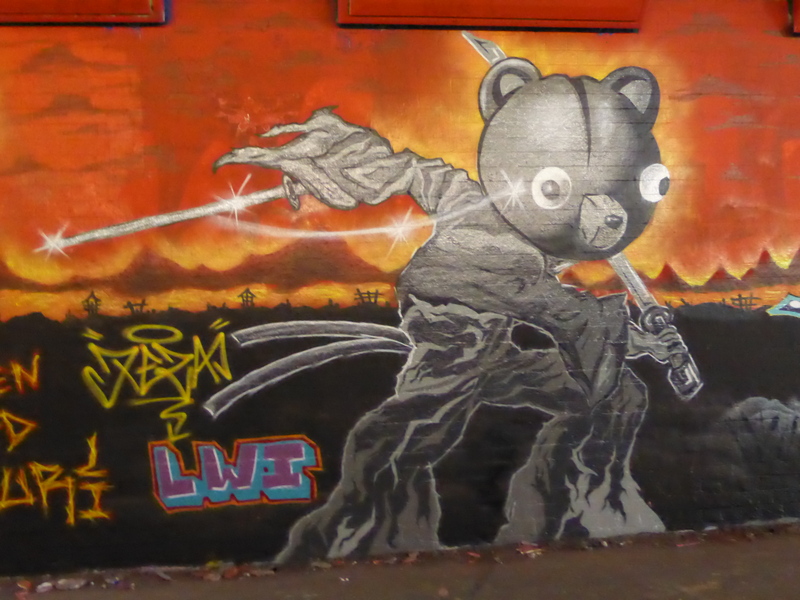 Work by Core246 in Leake Street, for the Batttle of Waterloo 2015. 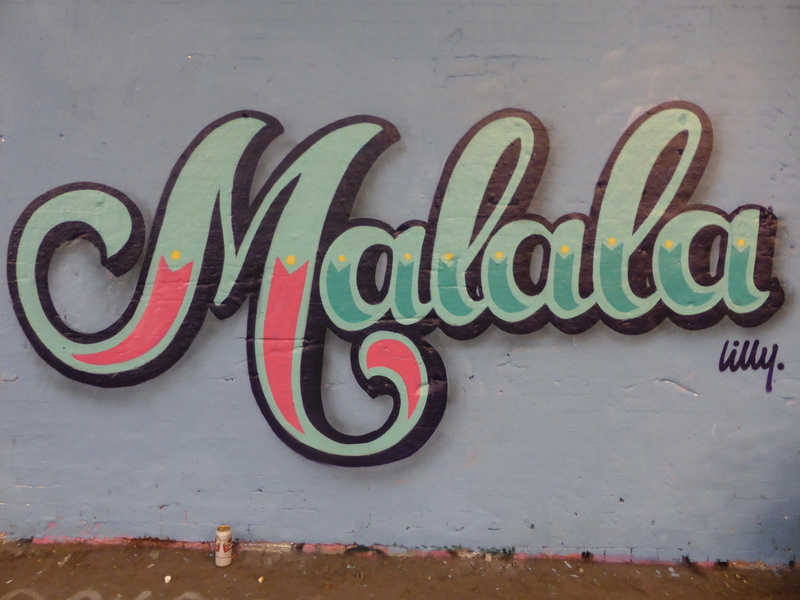 Work by Mila K in Leake Street, for the Batttle of Waterloo 2015. Work by Flesh031 off Brick Lane. 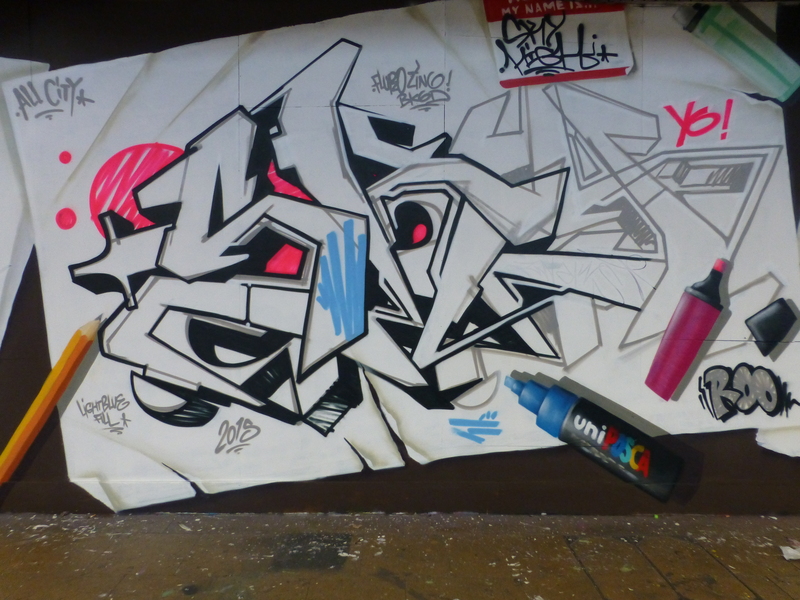 Work by Roes in the Stockwell Hall of Fame. Work by Seeds One in Tottenham. 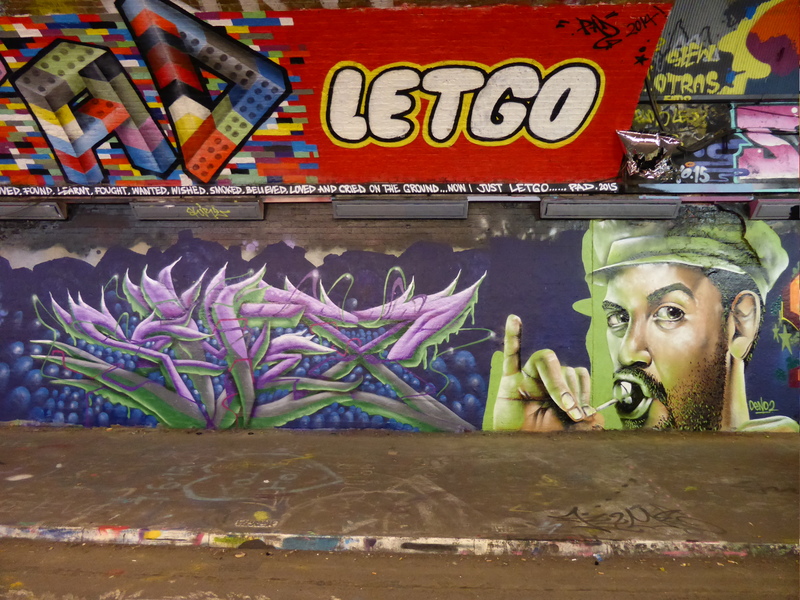 Work by Sterling in Leake Street. Work by Lovepusher. 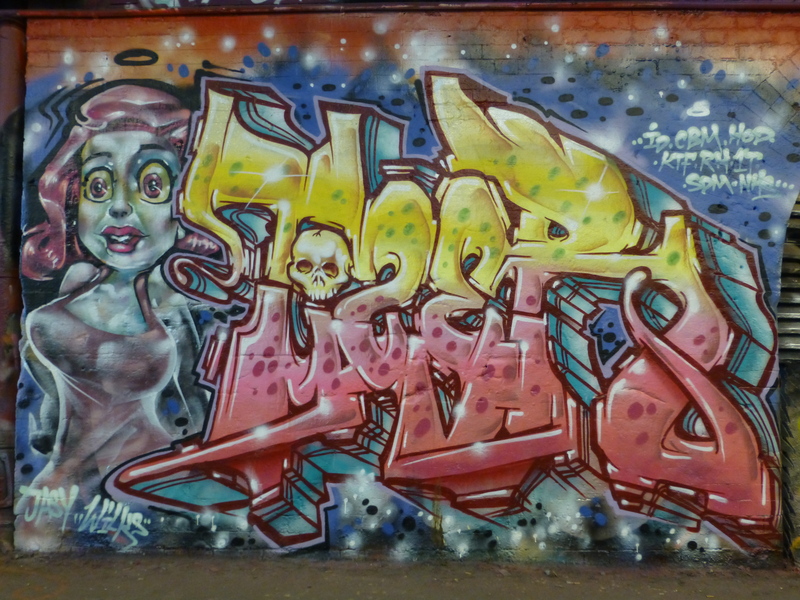 in Leake Street. Work by SkyHigh in Shoreditch. Work by Roes in Brixton Bloc. Work by Core246 in Brixton Bloc. Work by Lovepusher in Brixton Bloc. 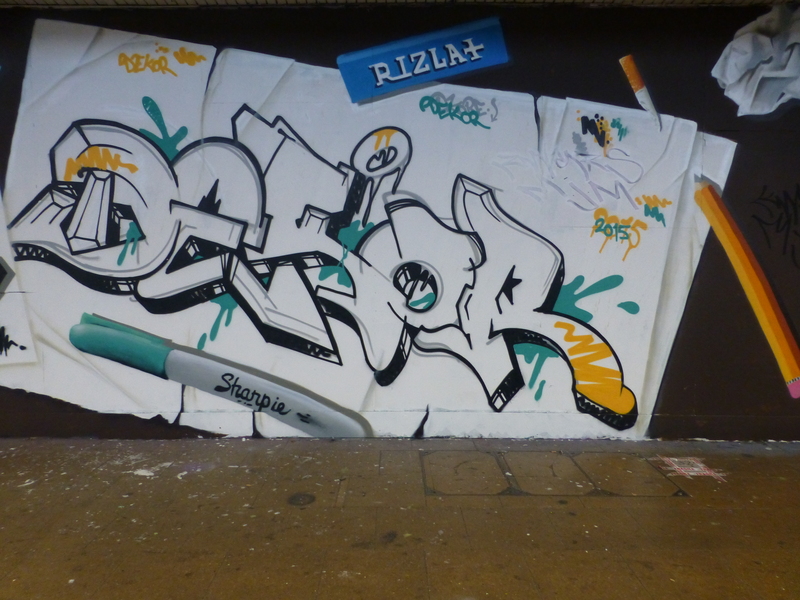 Work by Tizer in the Stockwell Hall of Fame. Work by Andrea Riot in Shoreditch. Works by Hemp, Tizer, Elser & Ink Fetish in Shoreditch. Work by Hemp in Shoreditch. Works by Tizer & Elser in Shoreditch. Work by Tizer & Ink Fetish in Shoreditch. Work by 2Rise in Shoreditch. 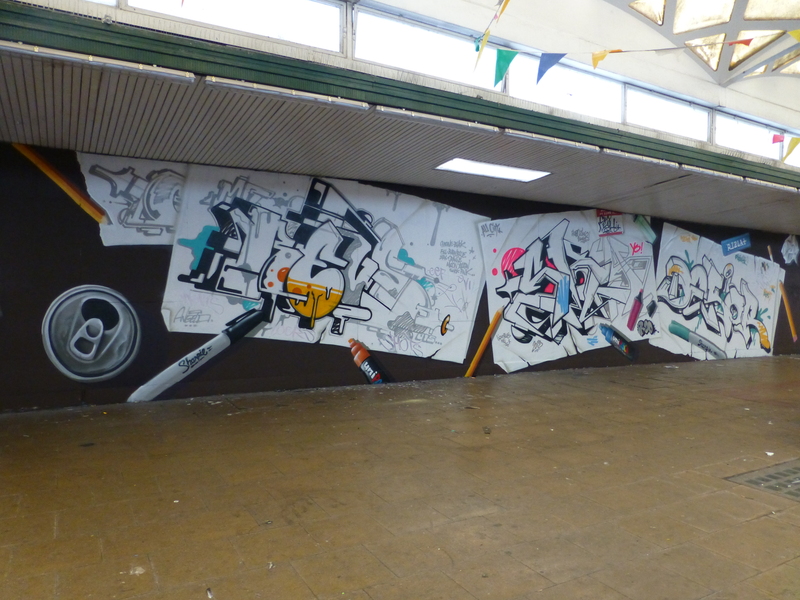 Work by Sterling & Onion in the Stockwell Hall of Fame. Work by Sterling in Camden Town. Work by Andrea Riot in Brick Lane. 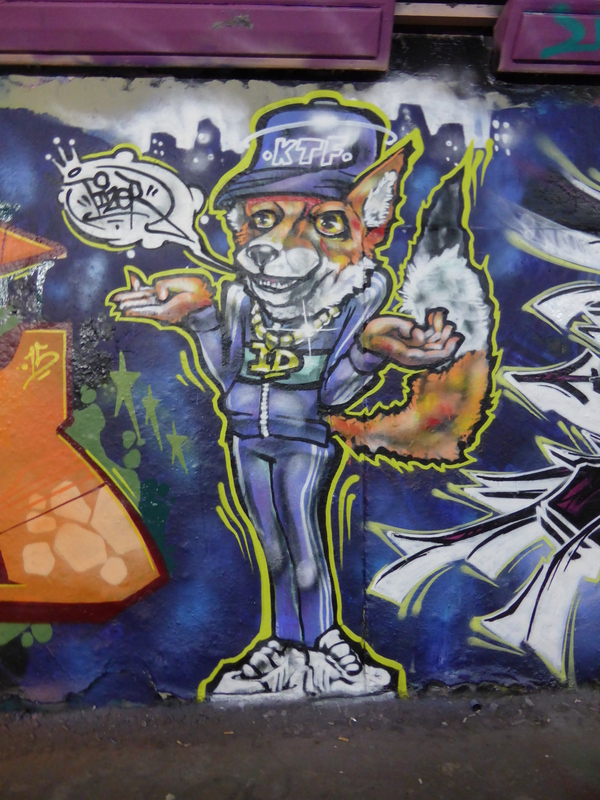 Work by Lifer in Leake Street. Work by Coe One in Shoreditch. 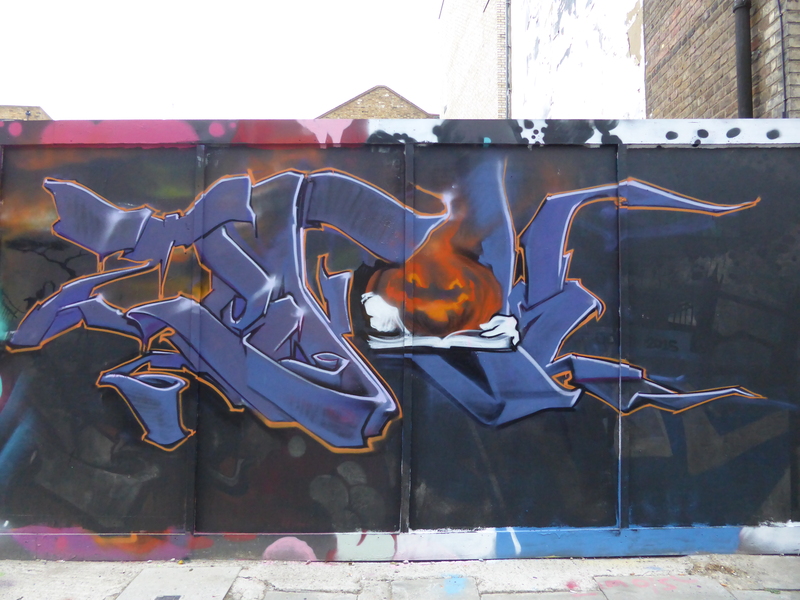 Work by Kaes in Hackney Wick. Work by Jankalab in Spitalfields. Work by Sam Sure & Ante in Brick Lane. Work by Crey One in the Nomadic Community Gardens. 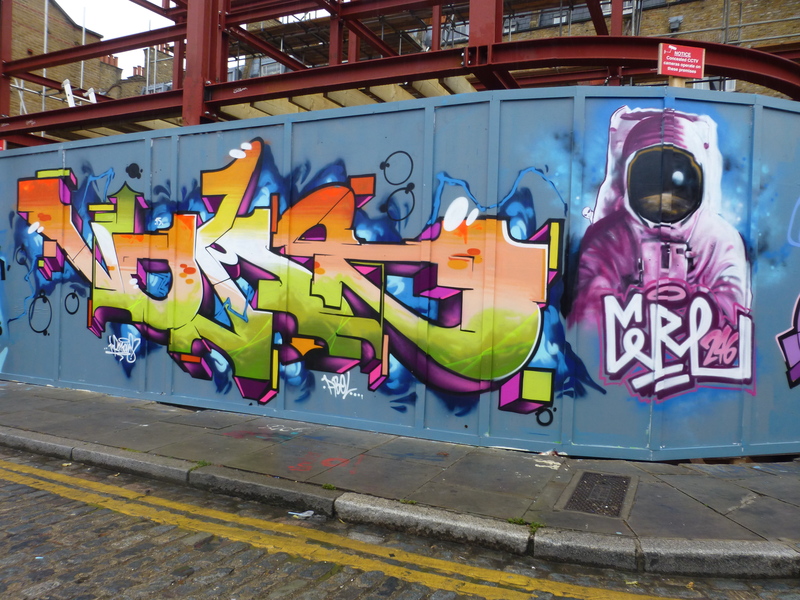 Work by Kaes & Cores246 in Shoreditch. Work by Aero in Brick Lane. 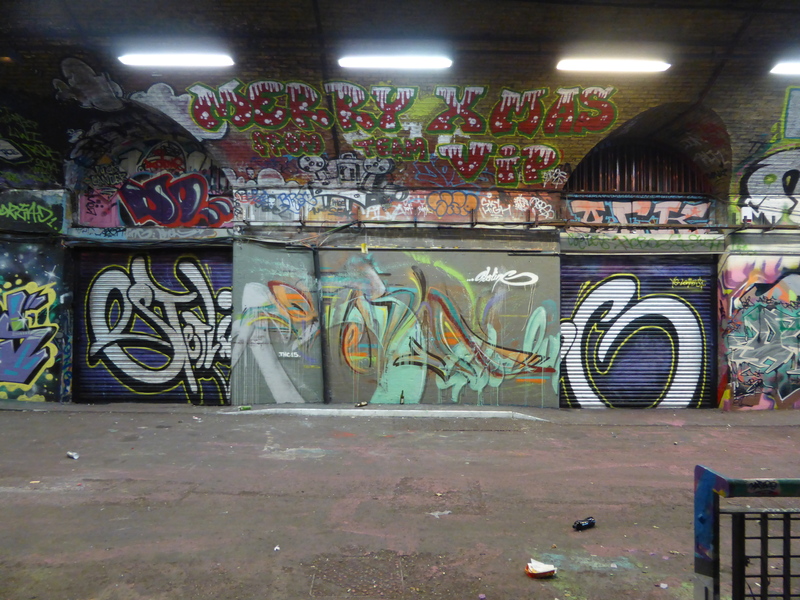 Works by Juan2 & Lovepusher/Neist in the Stockwell Hall of Fame. 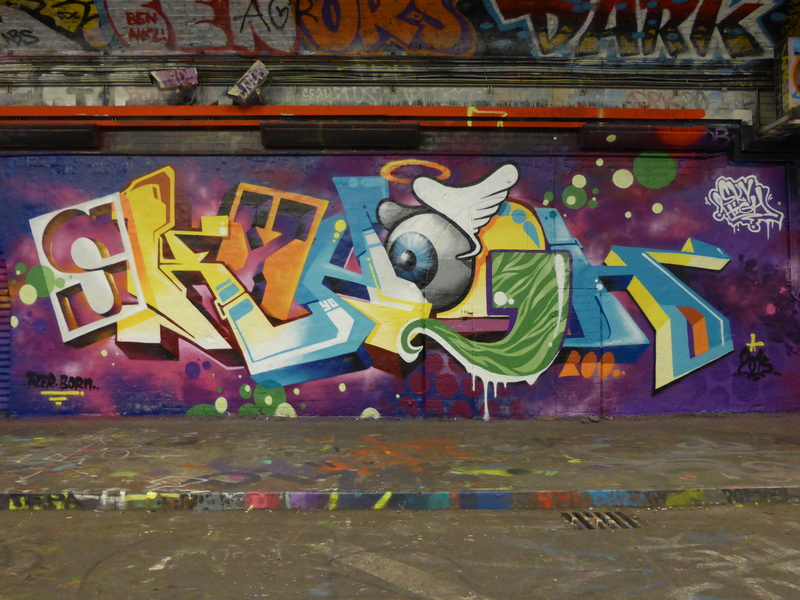 Superb collaboration work by Lovepusher & Neist in the Stockwell Hall of Fame. Work by Juan2 in the Stockwell Hall of Fame. Work by Sterling in the Stockwell Hall of Fame. 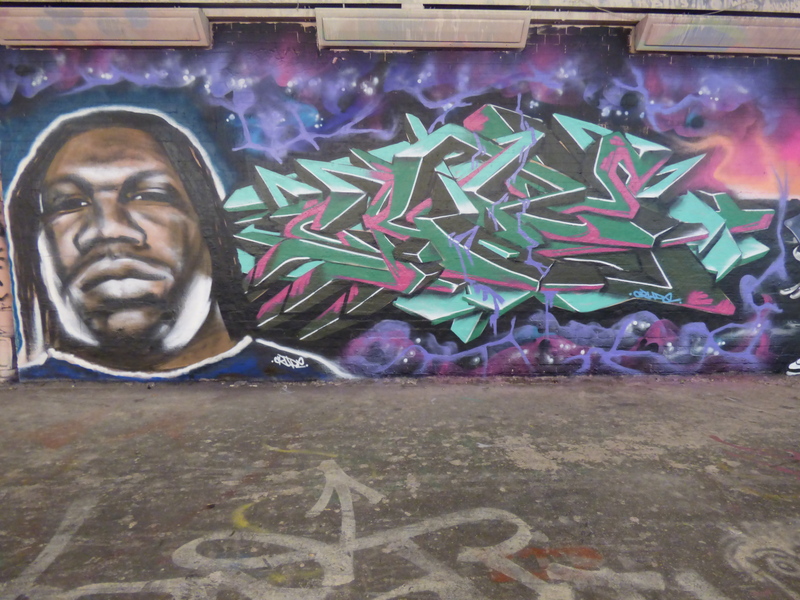 Work by Ceno2 Ante, Ceno2 & Sam Sure in The Stockwell Hall of Fame. 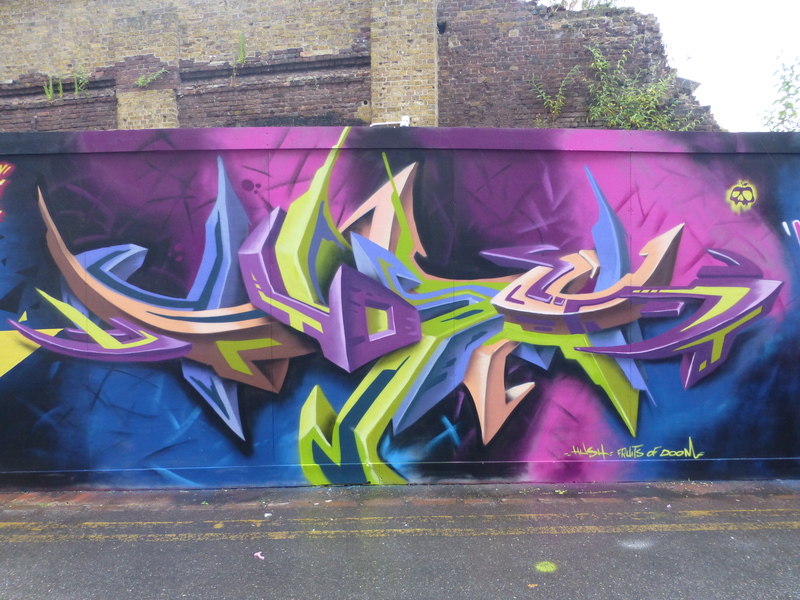 Work by Ceno2 in the Stockwell Hall of Fame. 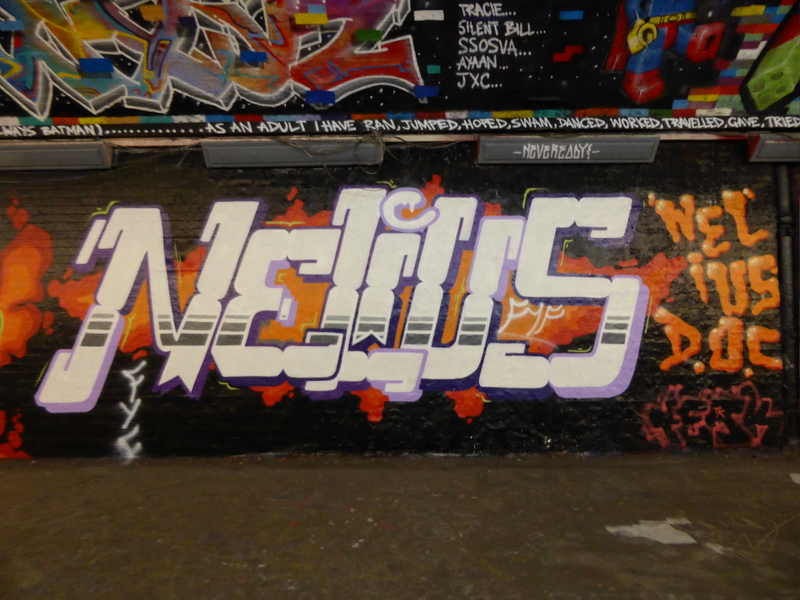 Work by Nelius in Leake Street. 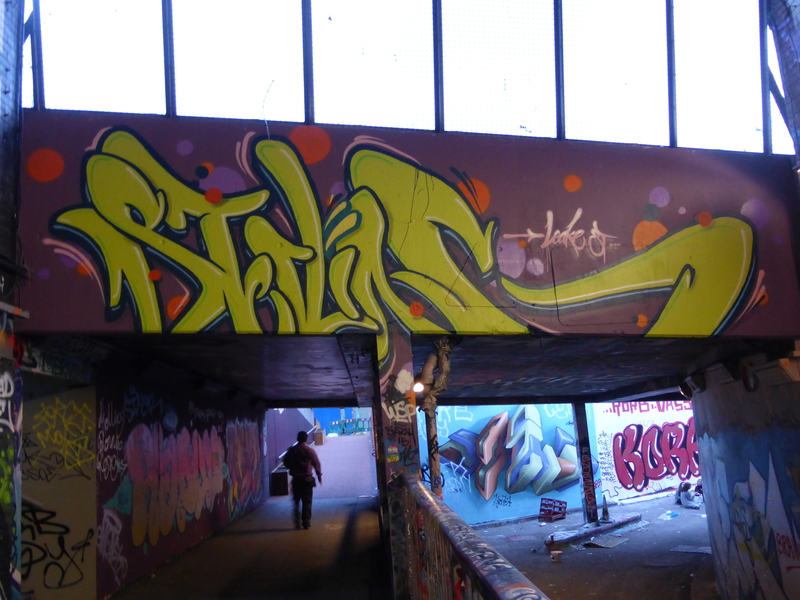 Works by Sterling in Leake Street. 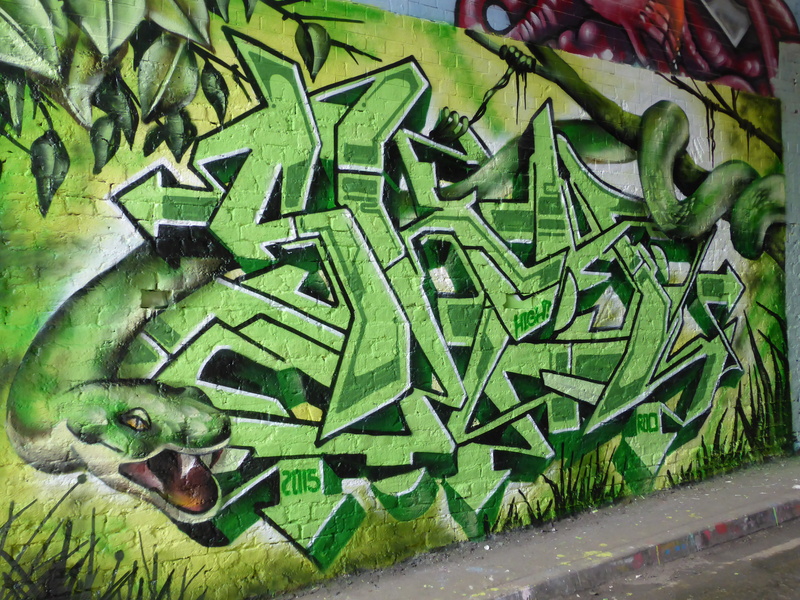 Work by Ndec in Leake Street. Work by ??? 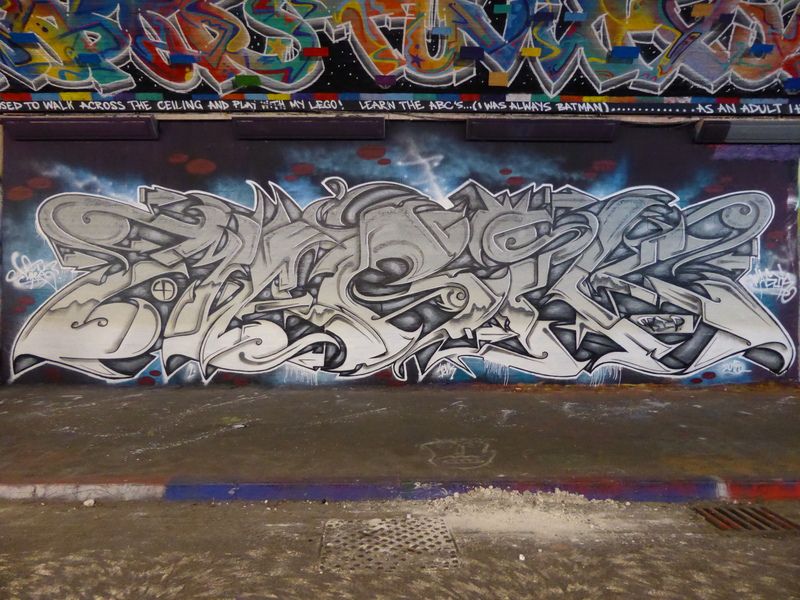 & Ceno2 in Leake Street. 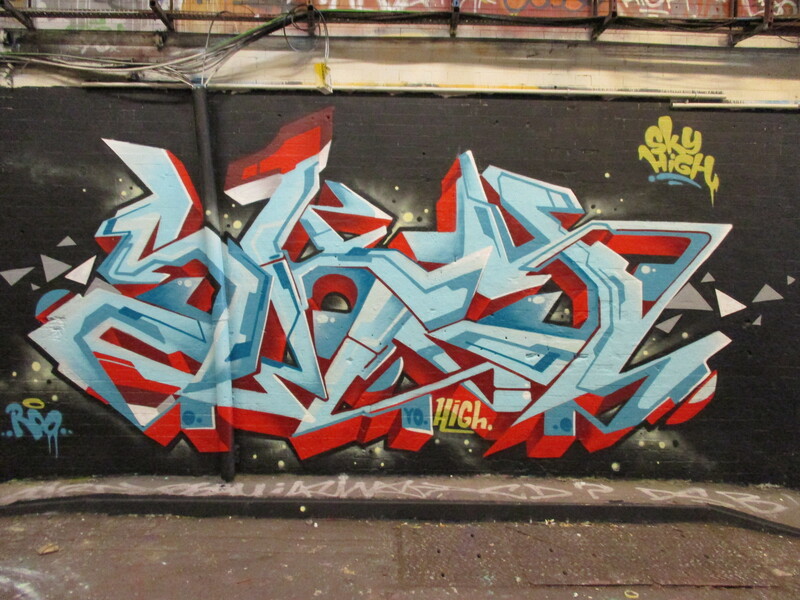 Work by Ceno2 in Leake Street. 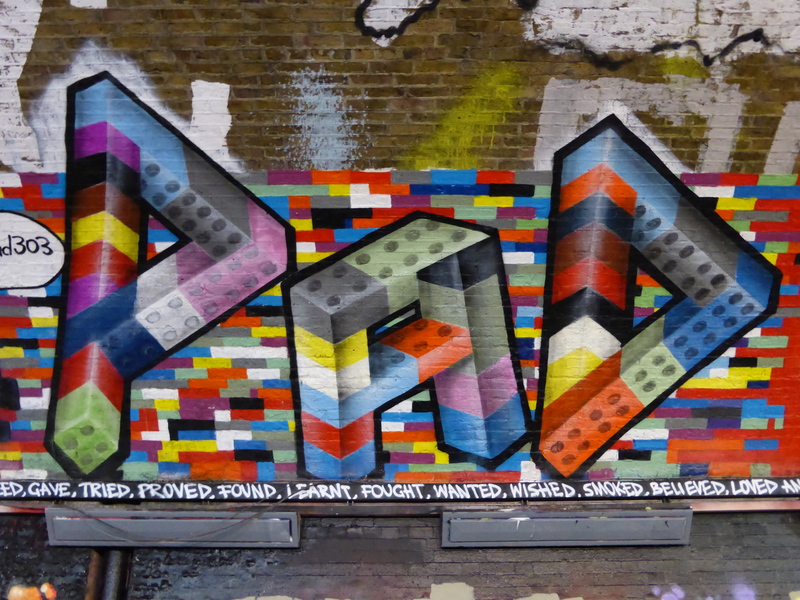 Work by Said Dokins in Brick Lane. 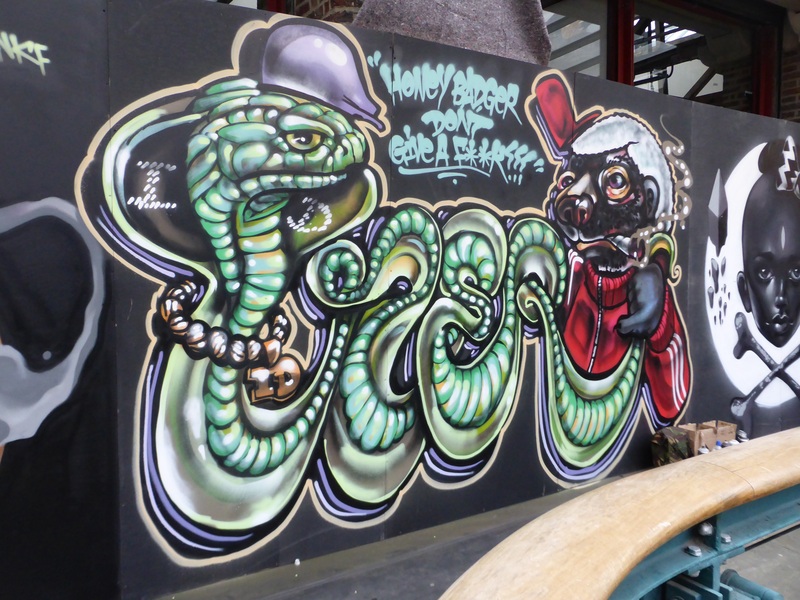 Work by Said Dokins in Camden Town. Work by Sketch88 in Shoreditch. 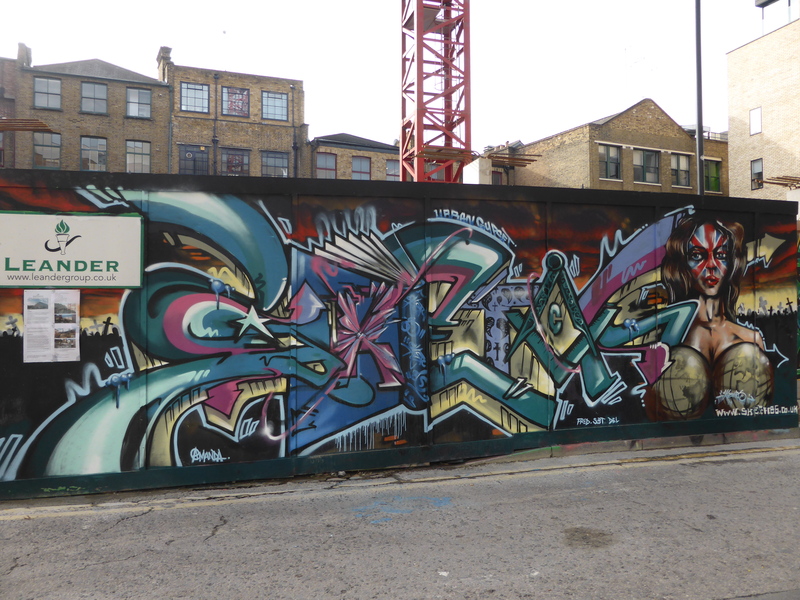 Work by Cazer in Shoreditch. Work by Tizer in Shoreditch. Works by Tizer & Ndec in Shoreditch. Work by Ndec in Shoreditch. Work by Trafik in Shoreditch. Works by 2Rise & Core246 in Shoreditch. 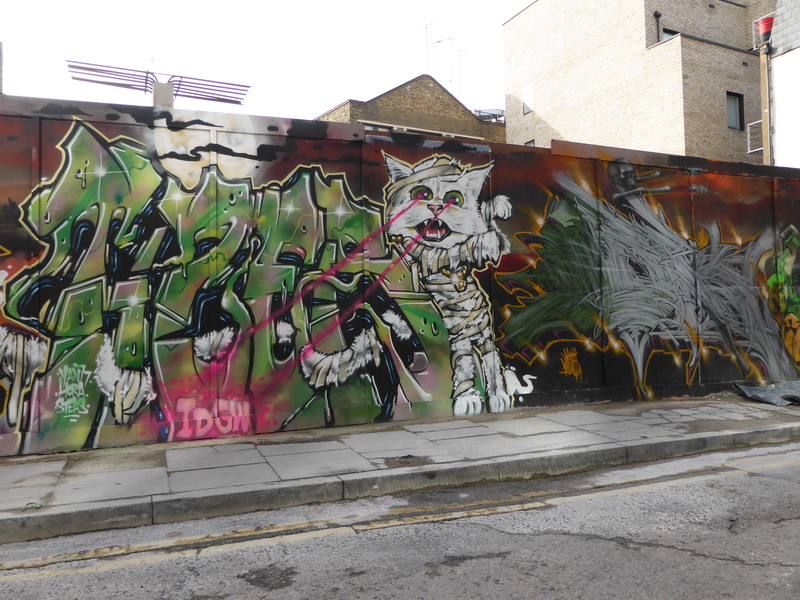 Works by Jeba & Kaes in Shoreditch. Works by Jeba in Shoreditch. 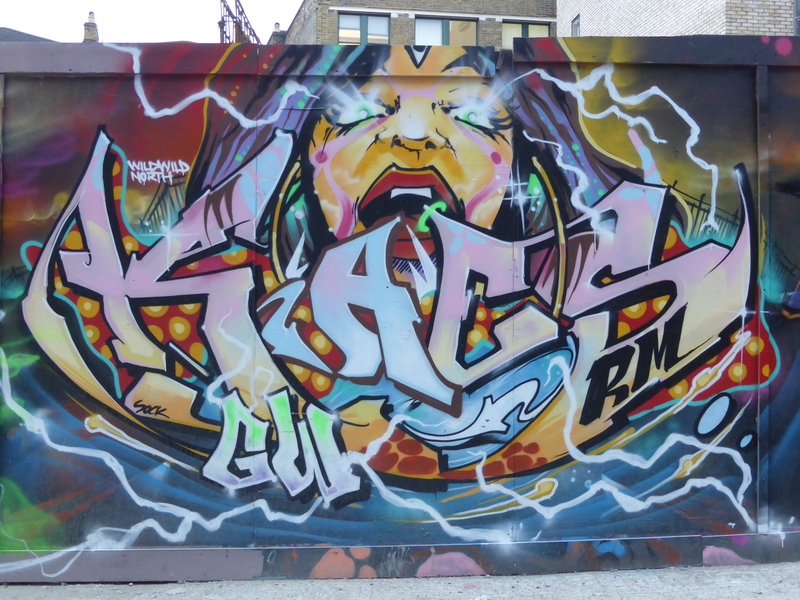 Works by Kaes in Shoreditch. Work by Sterling in the Nomadic Community Gardens. 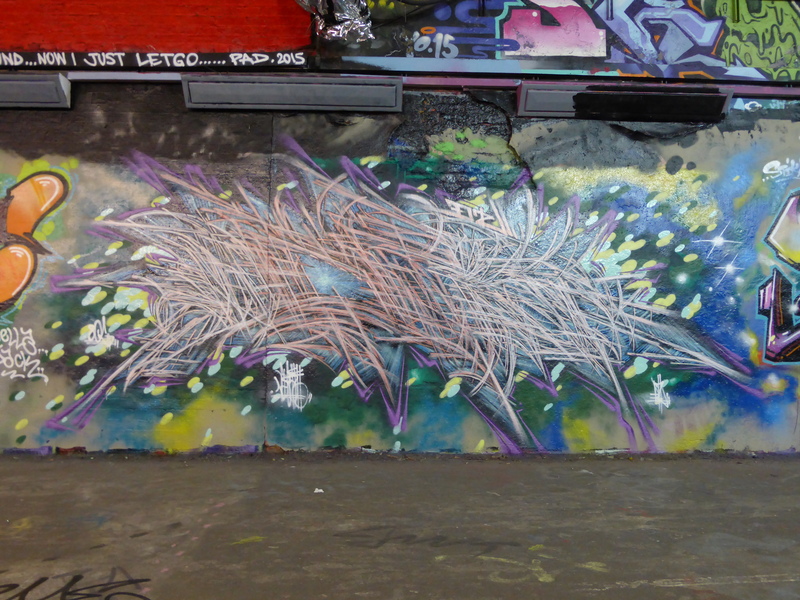 Work by Onion in Leake Street. Work by Ink Fetish in Leake Street. 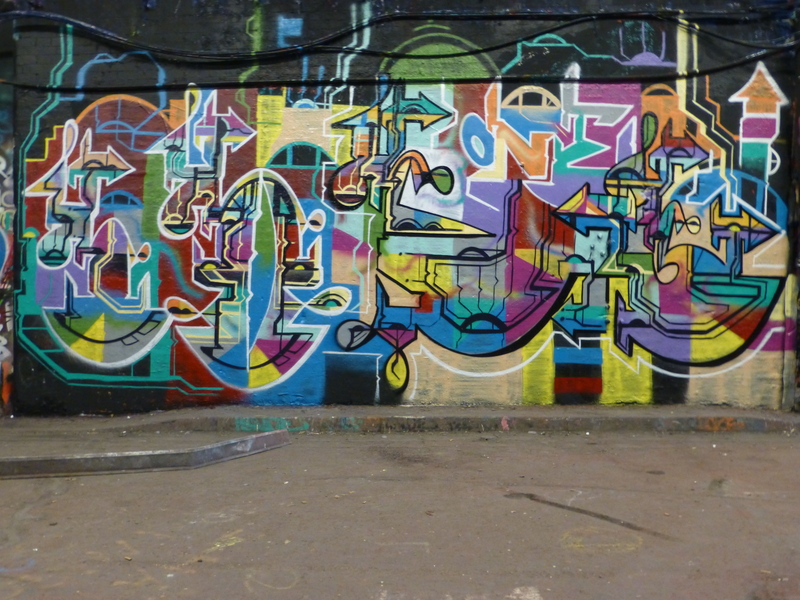 Work by Sterling & Core246 in Leake Street. 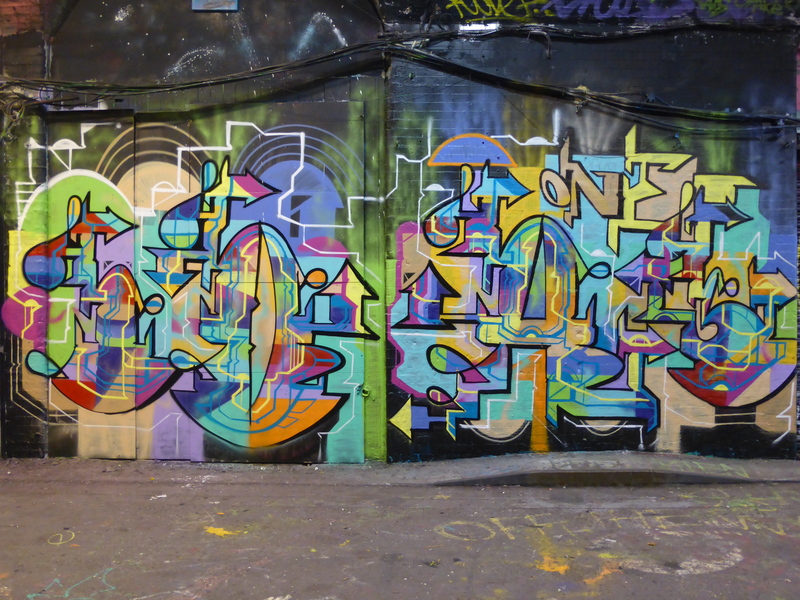 Work by Juseone in Leake Street. 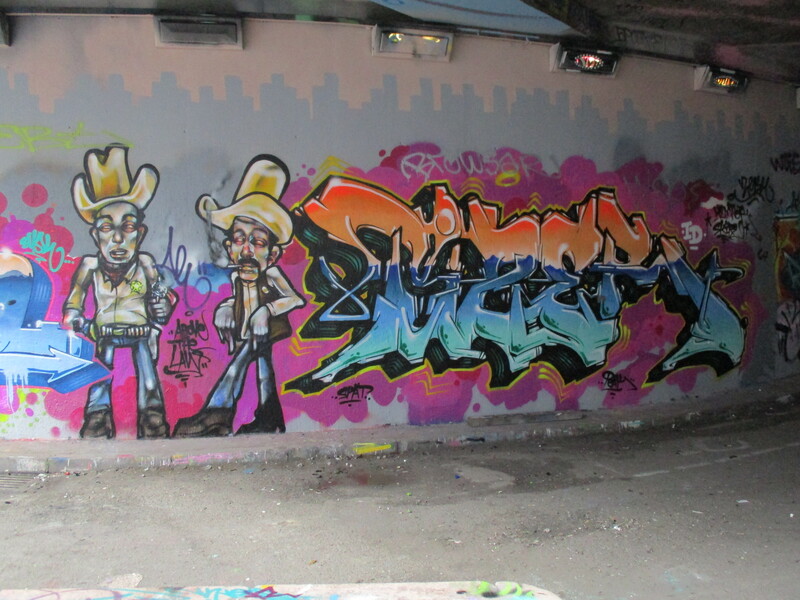 Work by Juan2 in Leake Street. 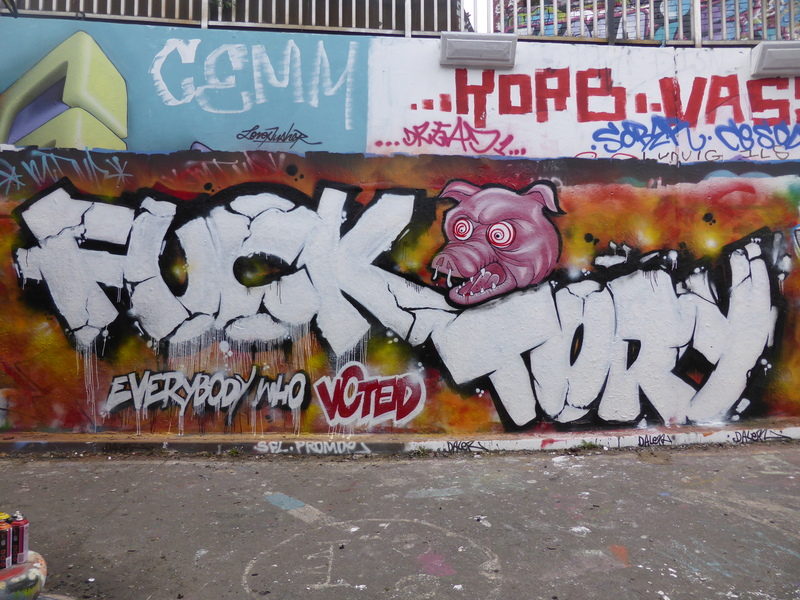 Work by an anonymous duo in Leake Street. 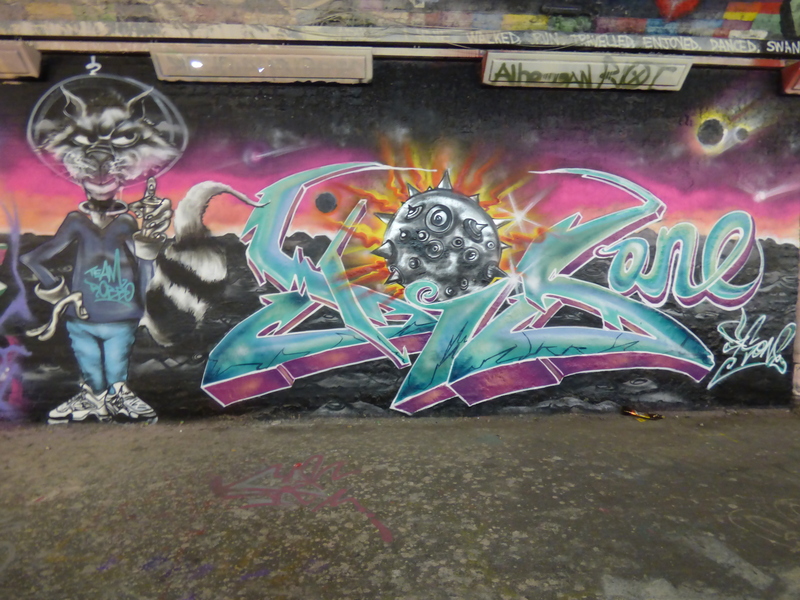 Work by Bonzai in Leake Street. 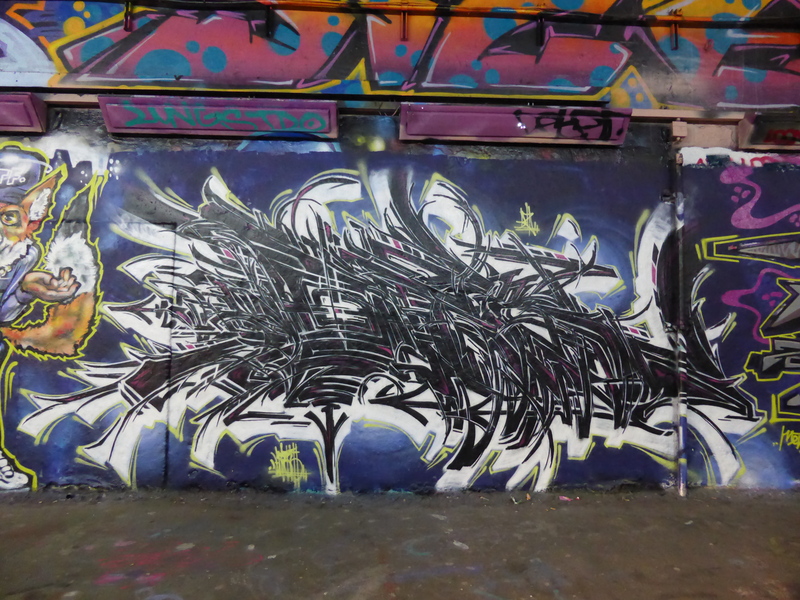 Work by Niser in Leake Street. 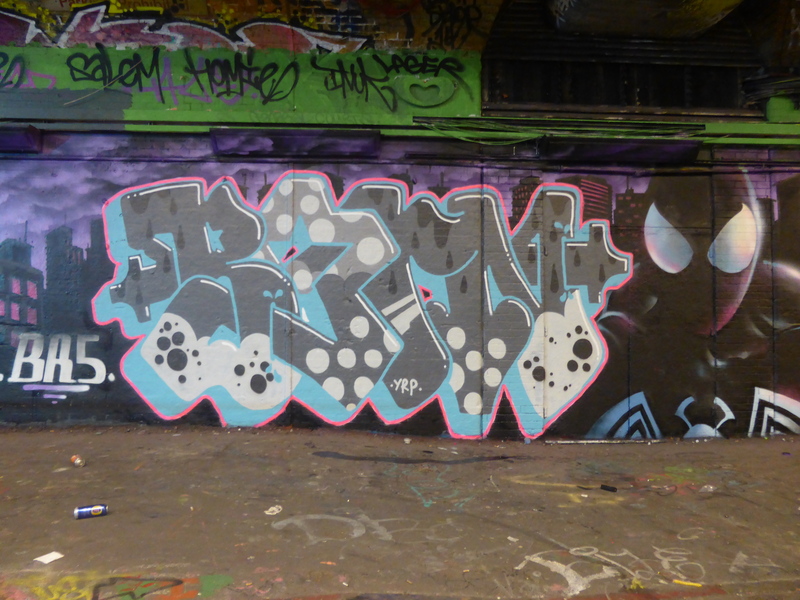 Work by Born & SkyHigh in Leake Street. 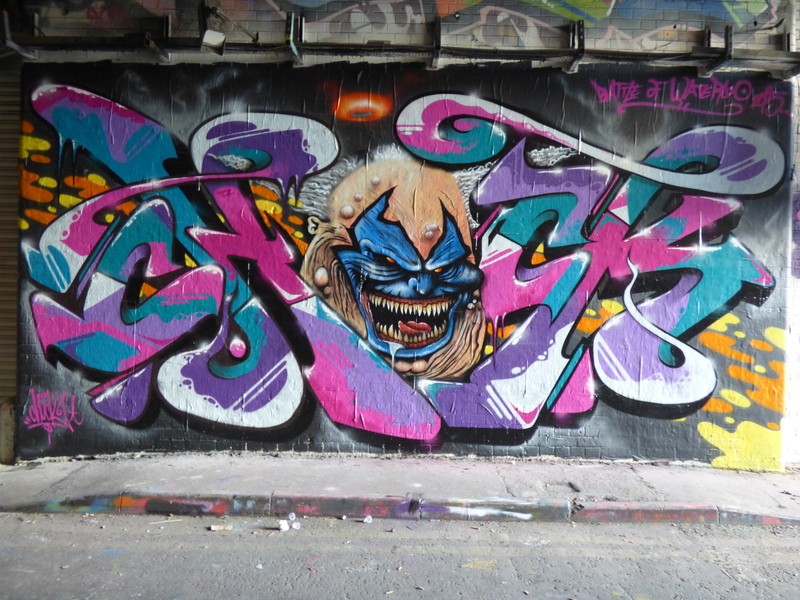 Work by Born in Leake Street. 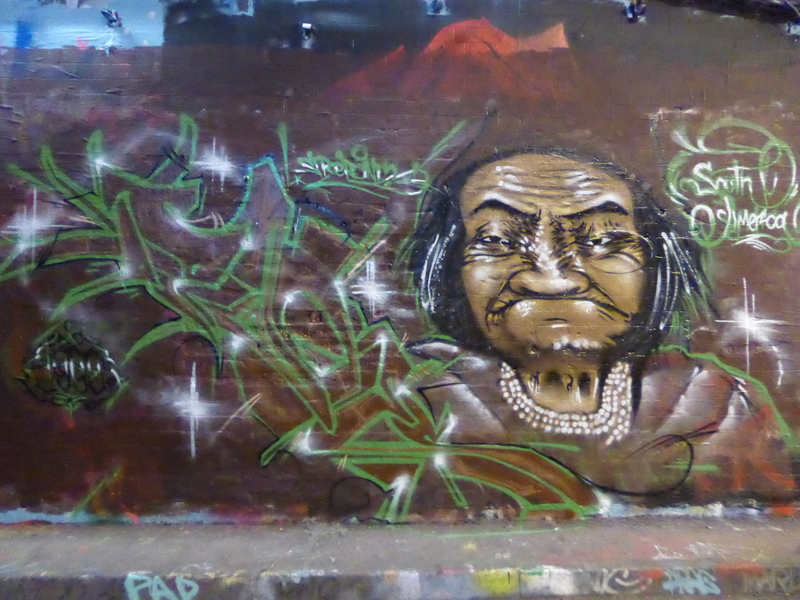 Work by Van Dali & MCK in Leake Street. Work by Girls On Top Crew members ??? & Candie Bandita. 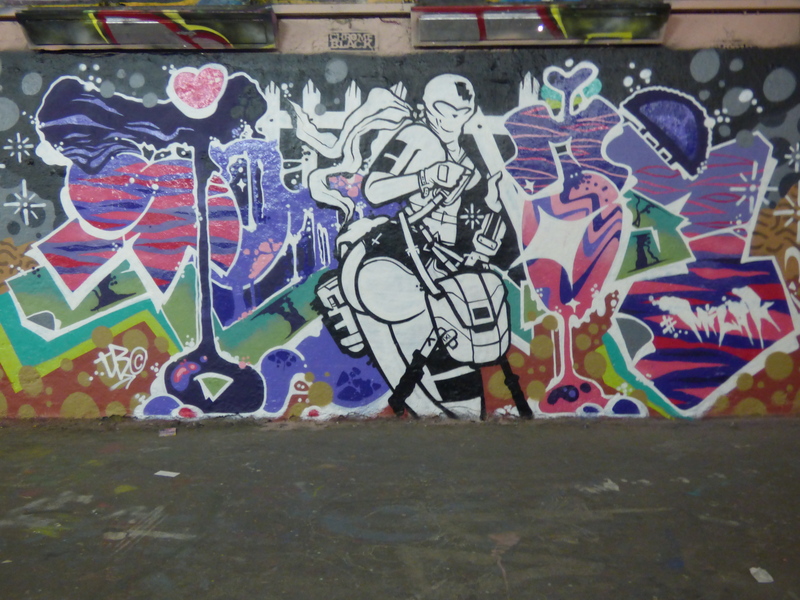 Work by Lovepusher in Leake Street. 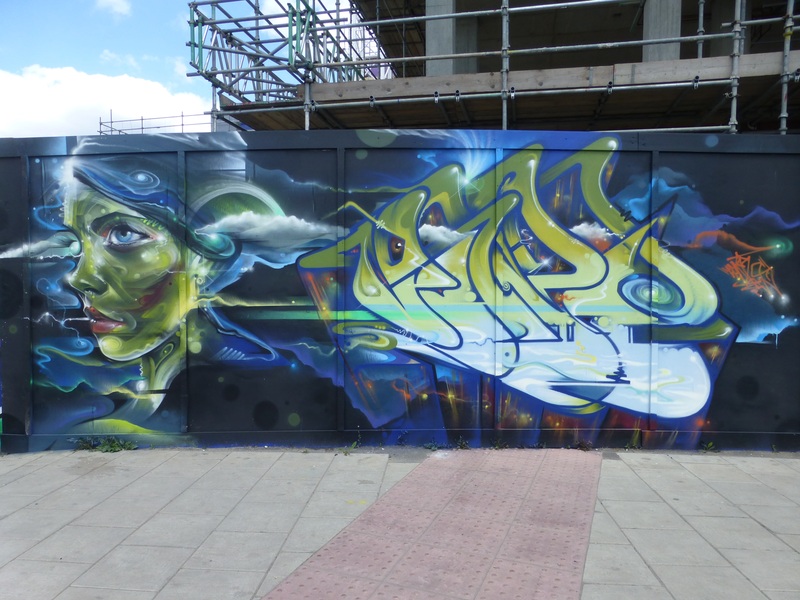 Works by Mr Cenz in Croydon. 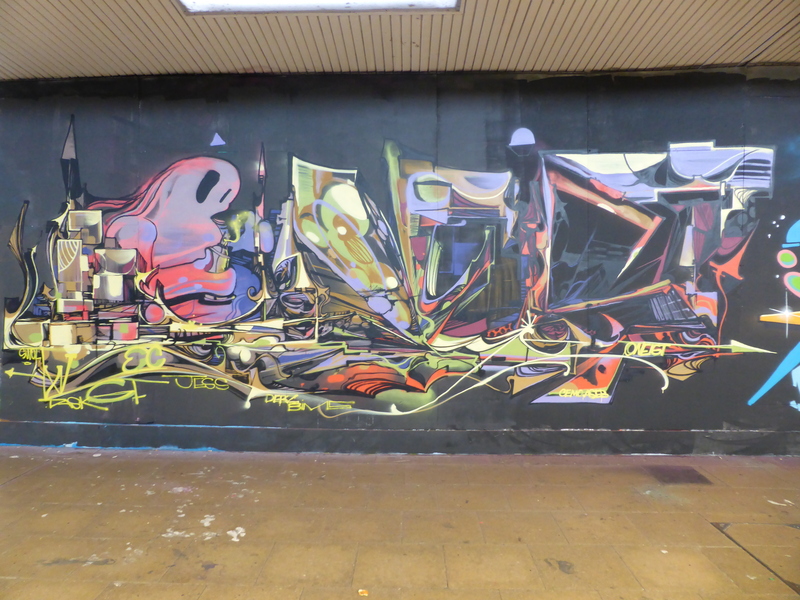 Works by Juseone in Croydon. 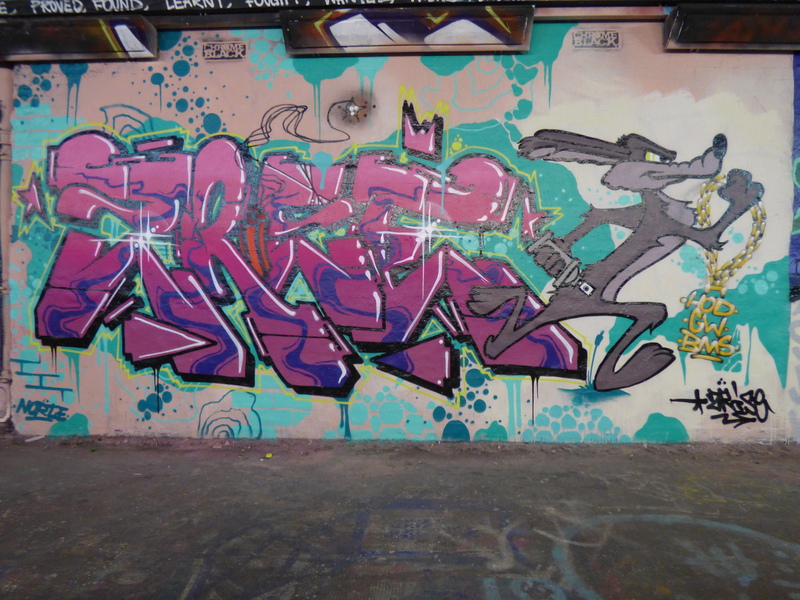 Work by Coe One in the Stockwell Hall of Fame. 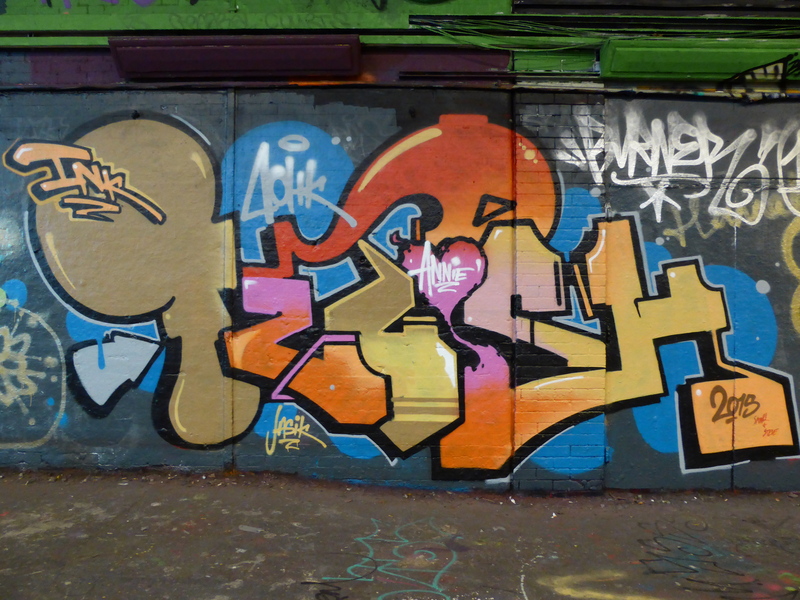 Work by Lovepusher in the Stockwell Hall of Fame. 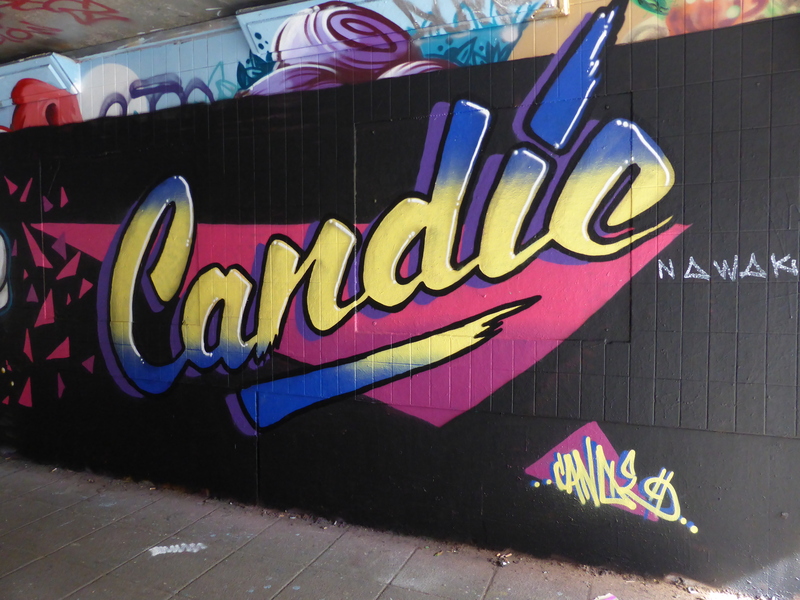 Work by Candie in Tooting. 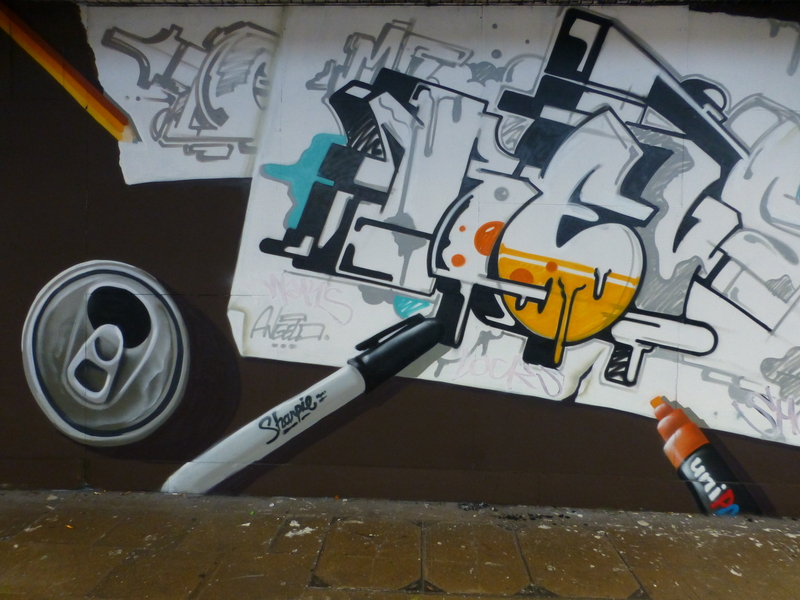 Collaboration work by Sterling & Samer in the Stockwell Hall of Fame. 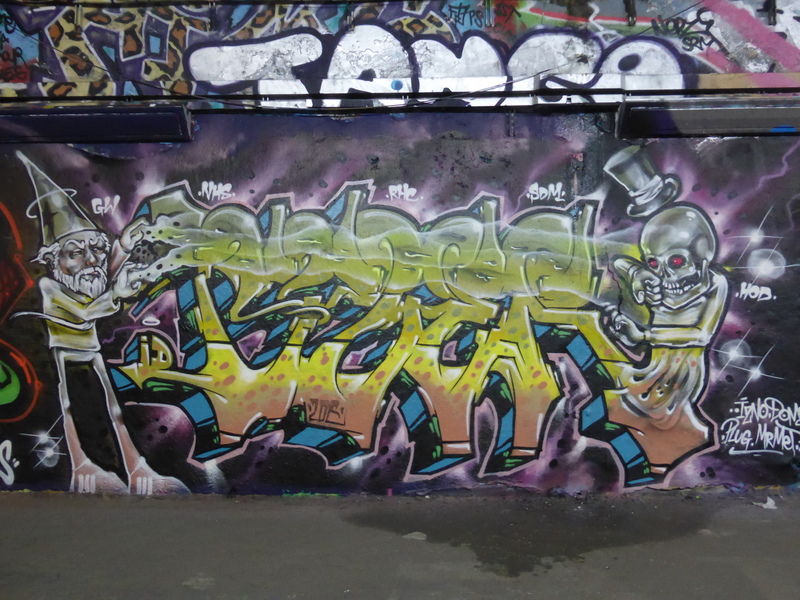 Work by Samer, Sterling & Melancholy in Leake Street. 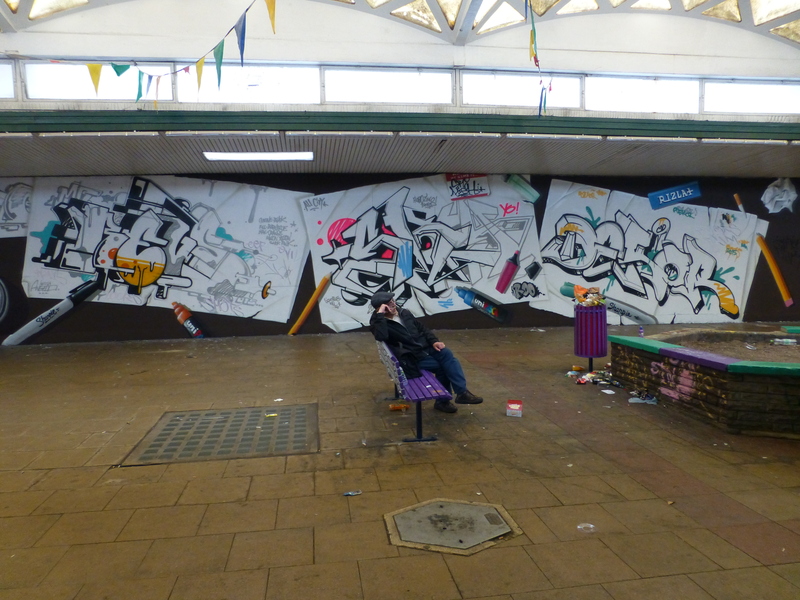 Works by Tizer & Lovepusher in the Stockwell Hall of Fame. 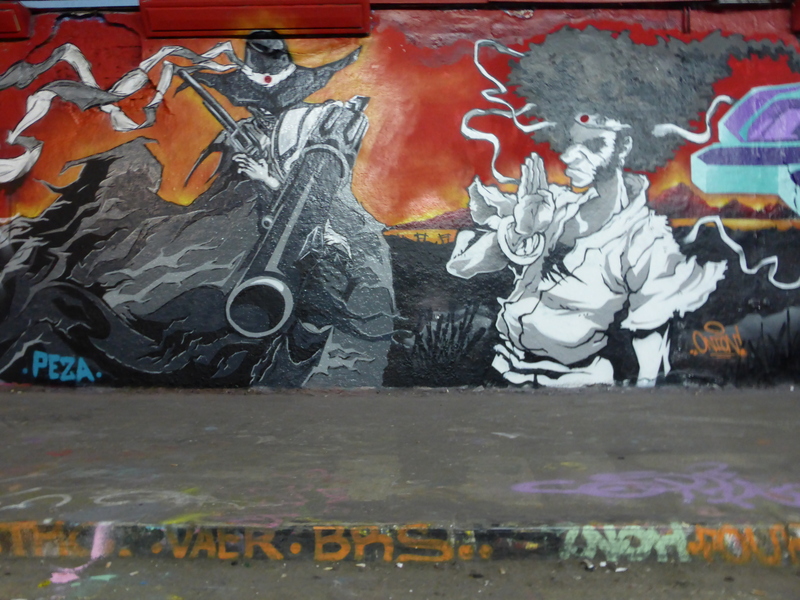 Works by Bonzai, Made514 & Tweshone in Shoreditch. Work by Bonzai in Shoreditch. Works by Made514 in Shoreditch. Works by Made514 & Tweshone in Shoreditch. Work by Sterling & Samer in Croydon. 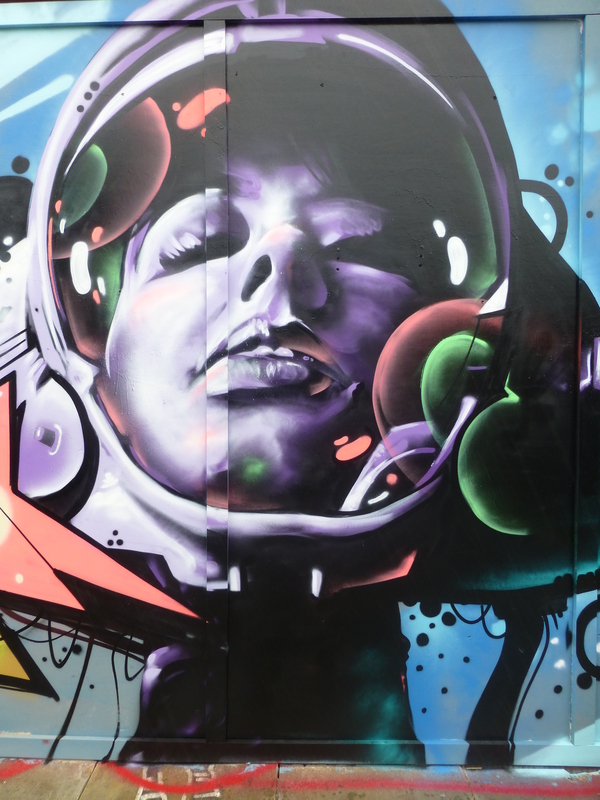 Detail of work by Samer in Croydon. 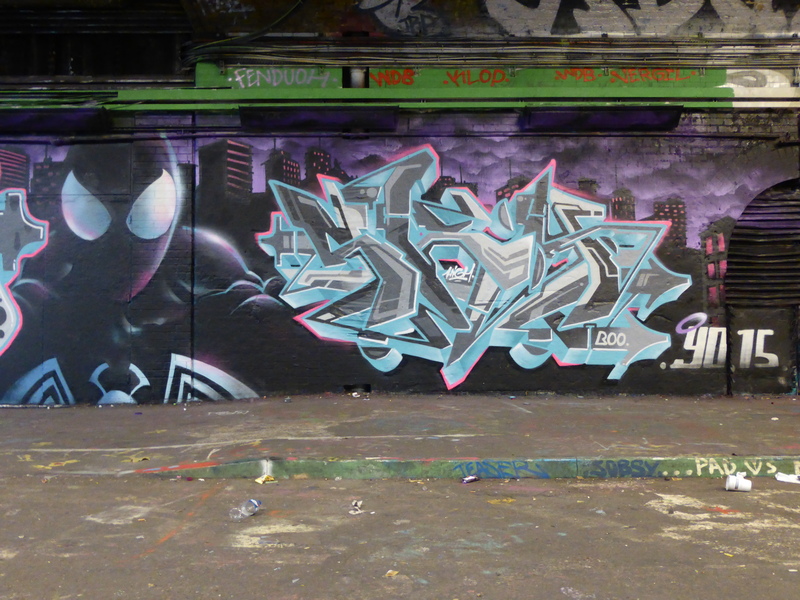 Works by Skire & Tizer in Leake Street. 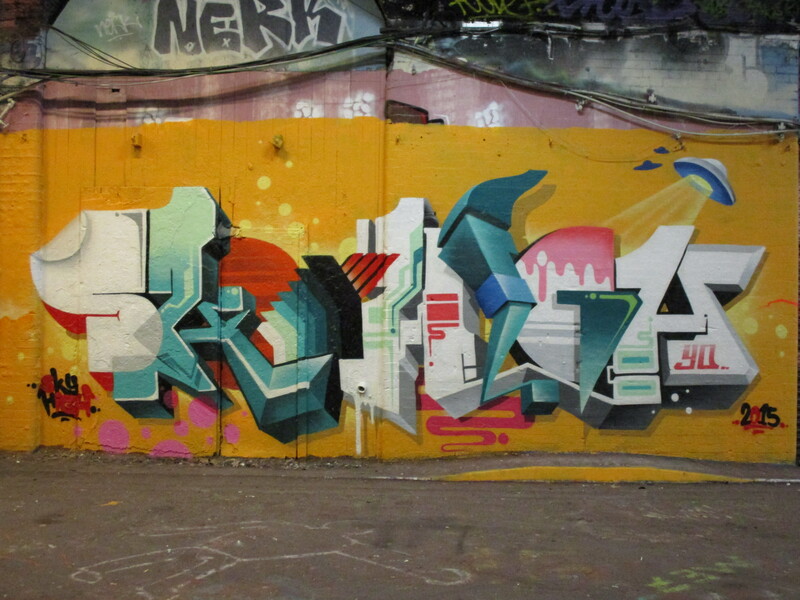 Work by Skire in Leake Street. 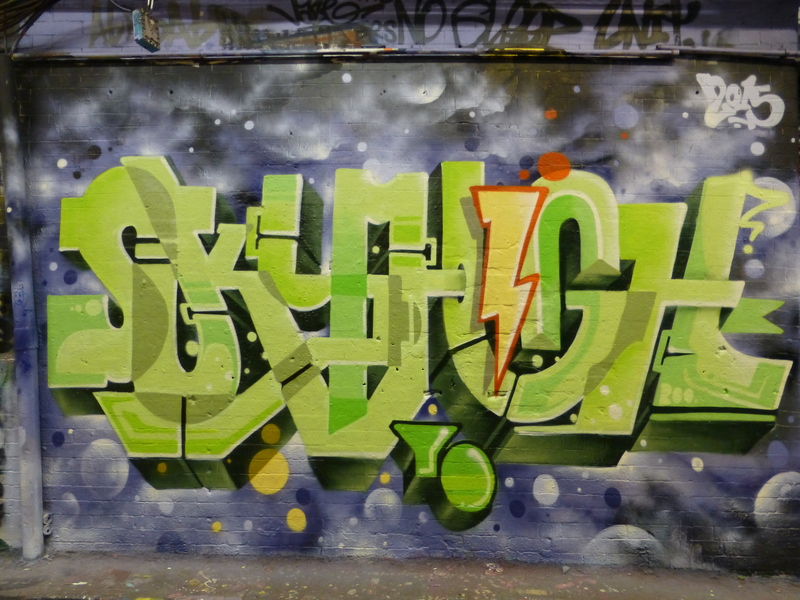 Work by SkyHigh & Decor in Leake Street. 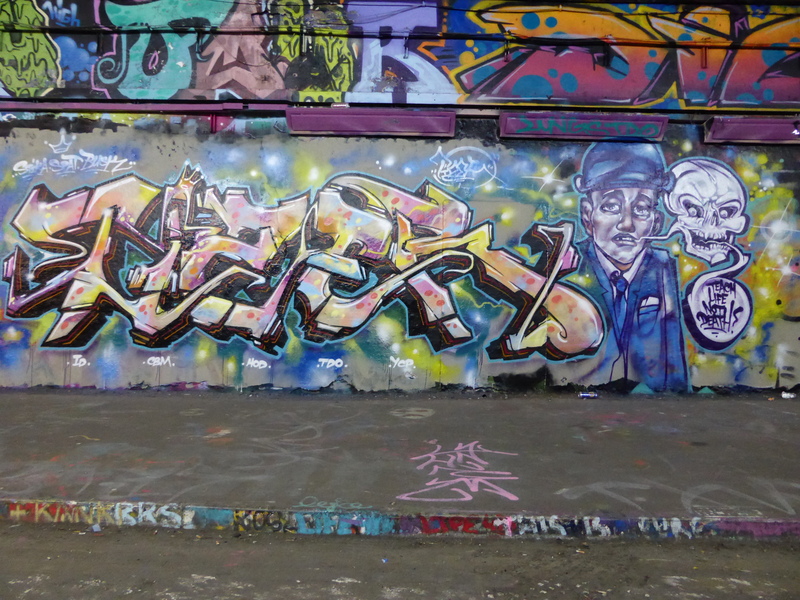 Work by Size92 in Leake Street. 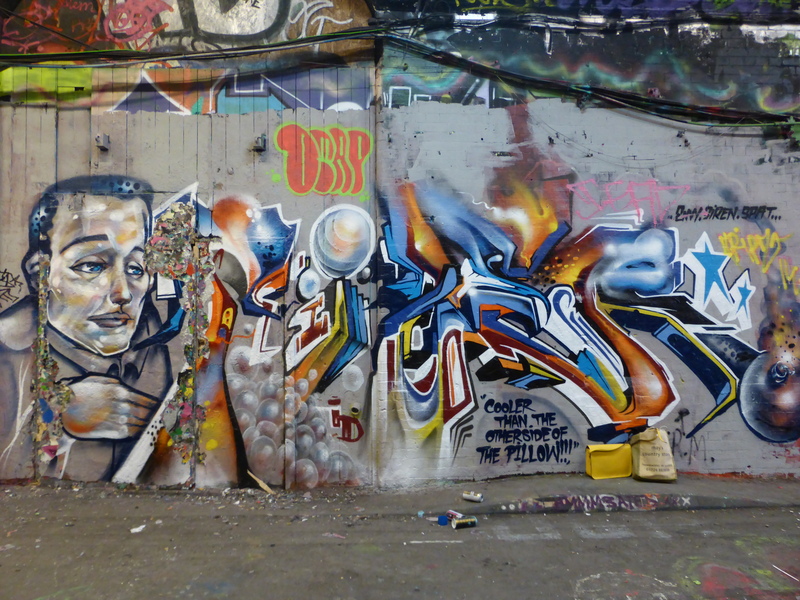 Work by Coe One in Leake Street. 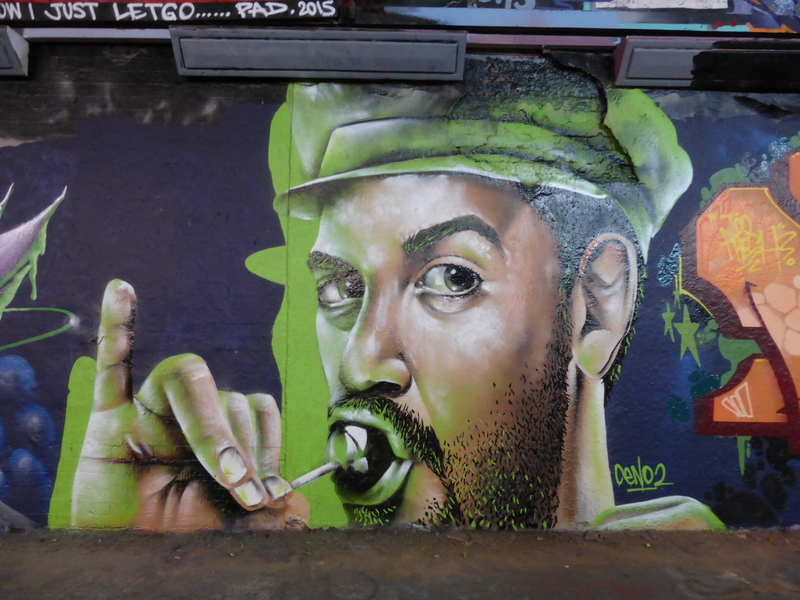 Work by Pali in Leake Street. 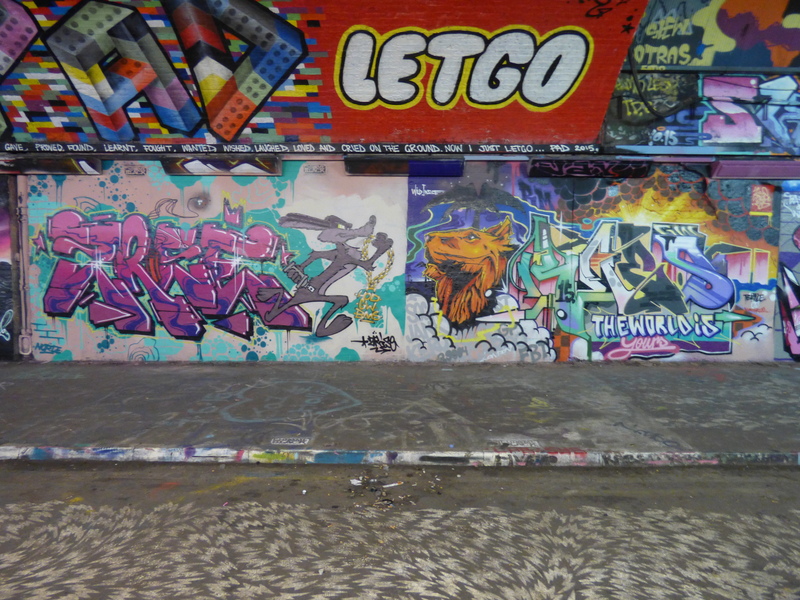 Work by JXC, Olivier Roubieu & SkyHigh in Leake Street. 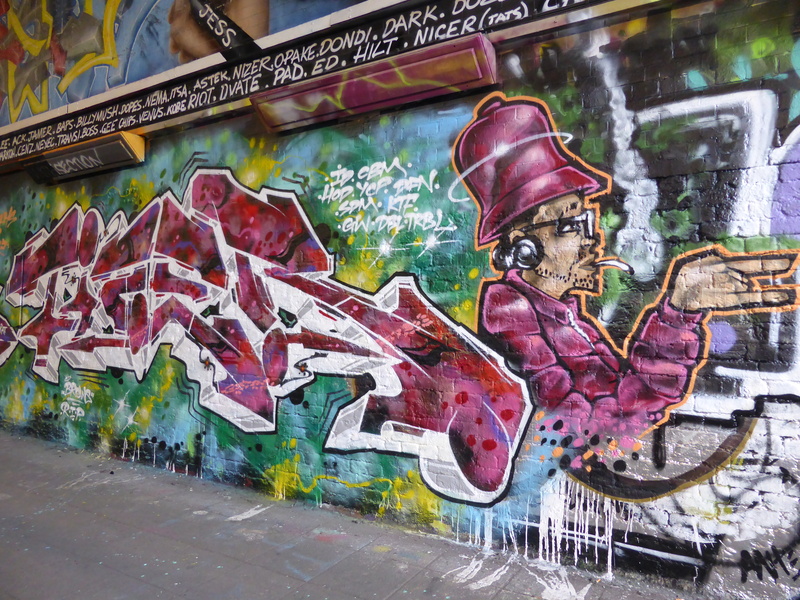 Work by JXC & Olivier Roubieu in Leake Street. Works by REB MWC & Sterling. 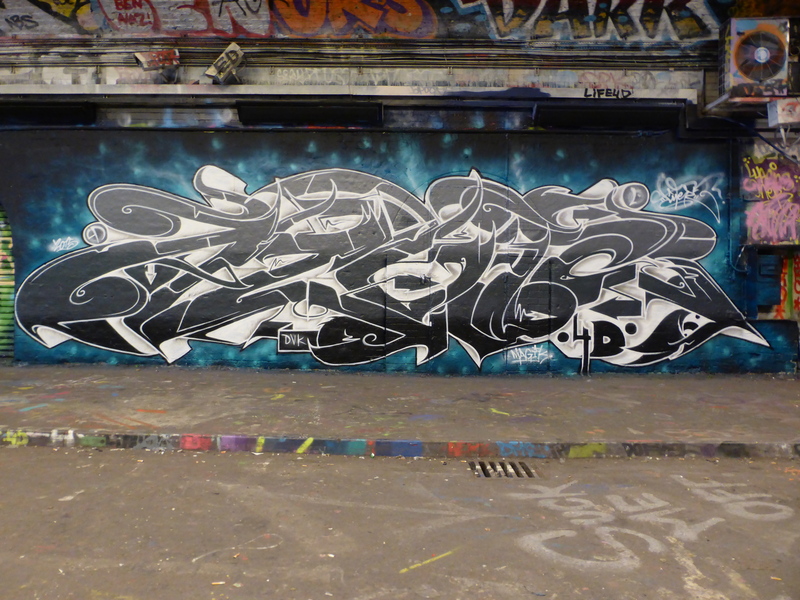 Work by Samer in Leake Street. 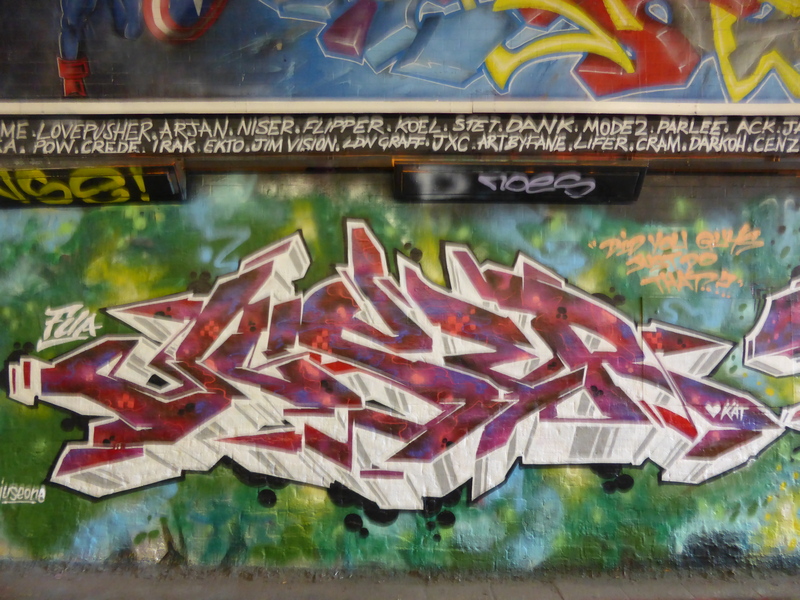 Detail of work by Samer in Leake Street. Work by Sterling in Hackney Wick. 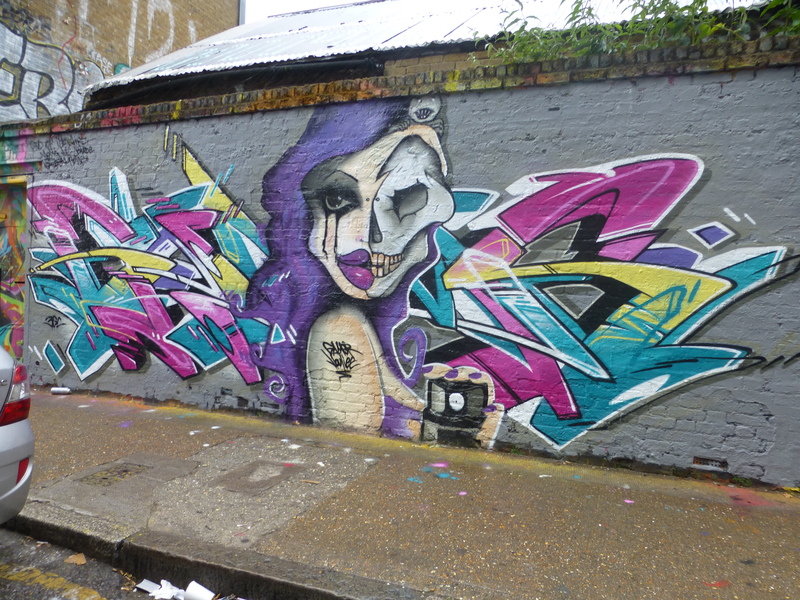 Work by Candie in Camden Town. 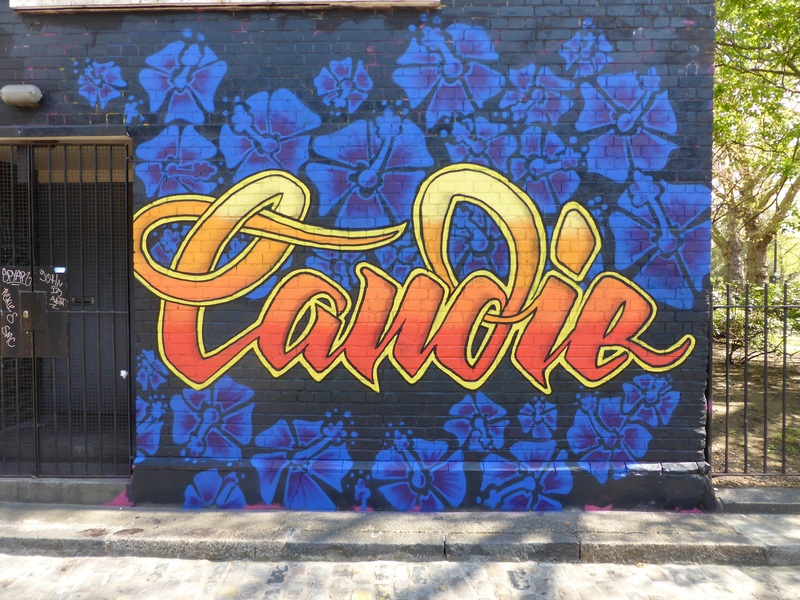 Work by Candie in Shoreditch.